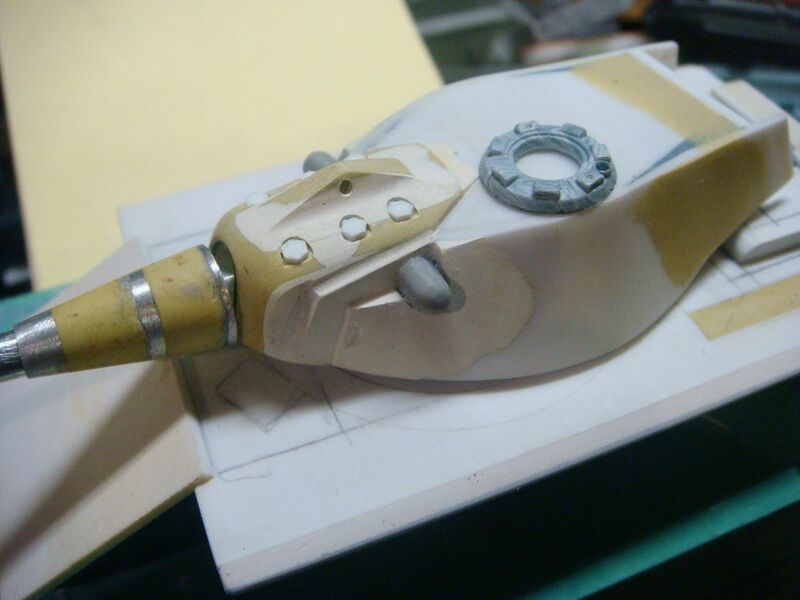 I started this by requesting a friend of mine to make me a hull and turret to start from. 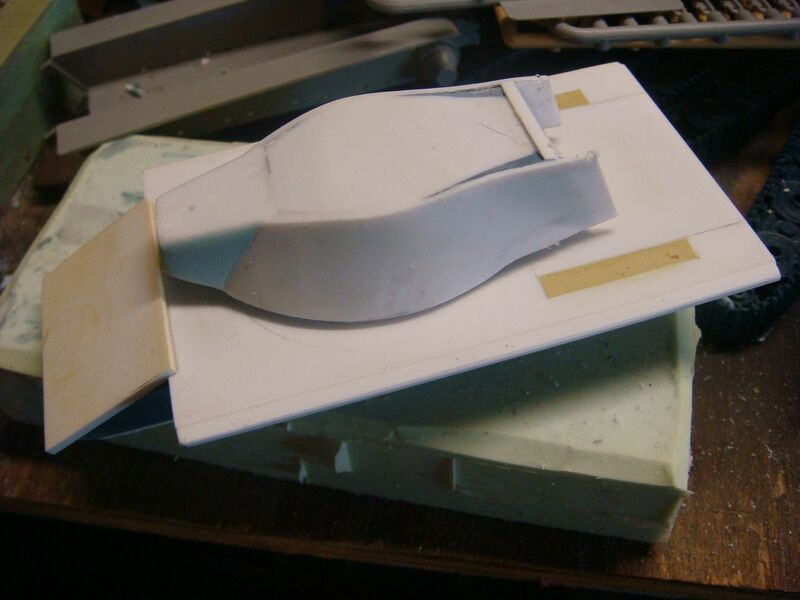 they were both hollow being made from sheet styrene. 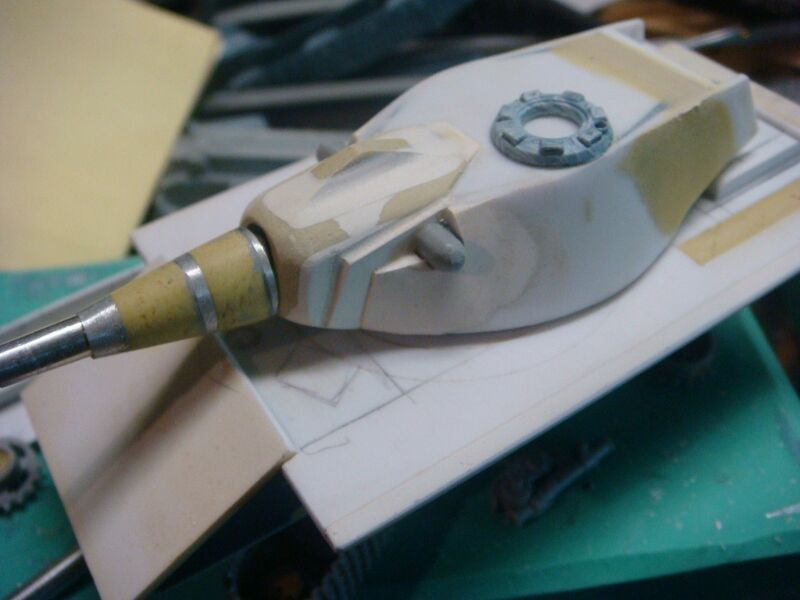 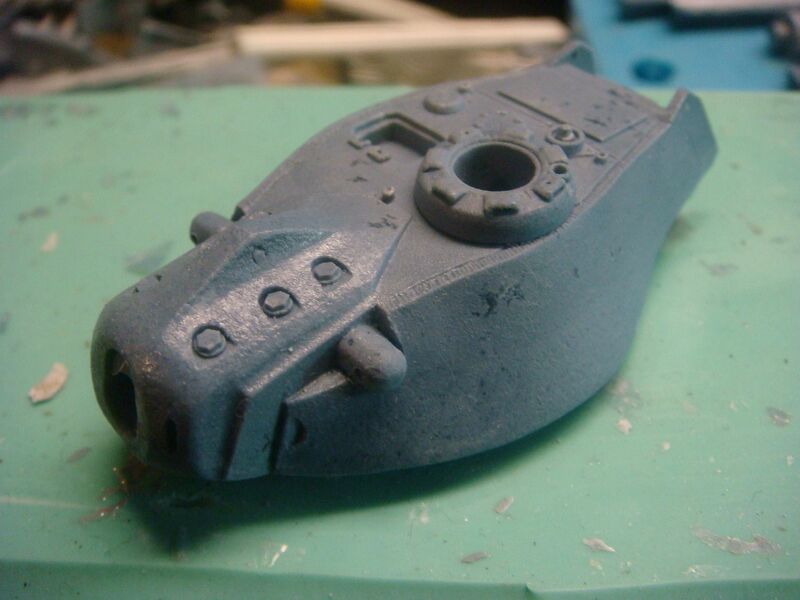 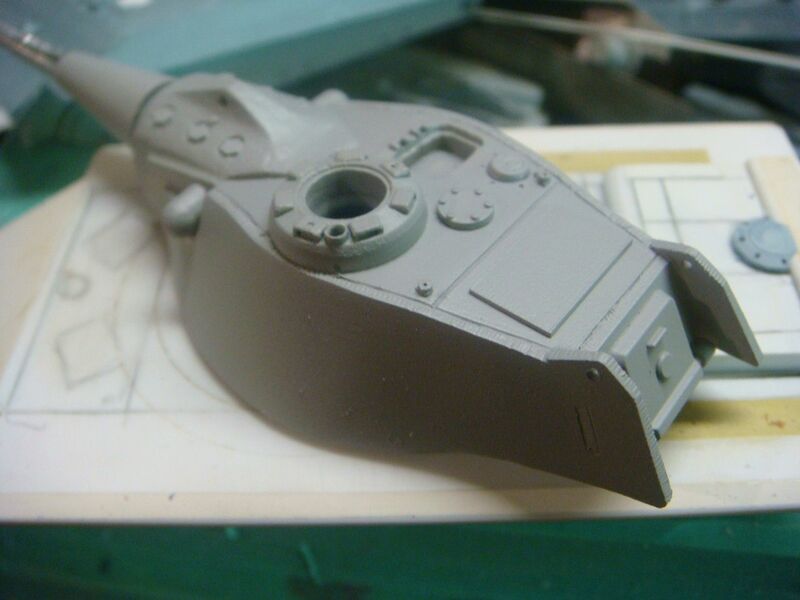 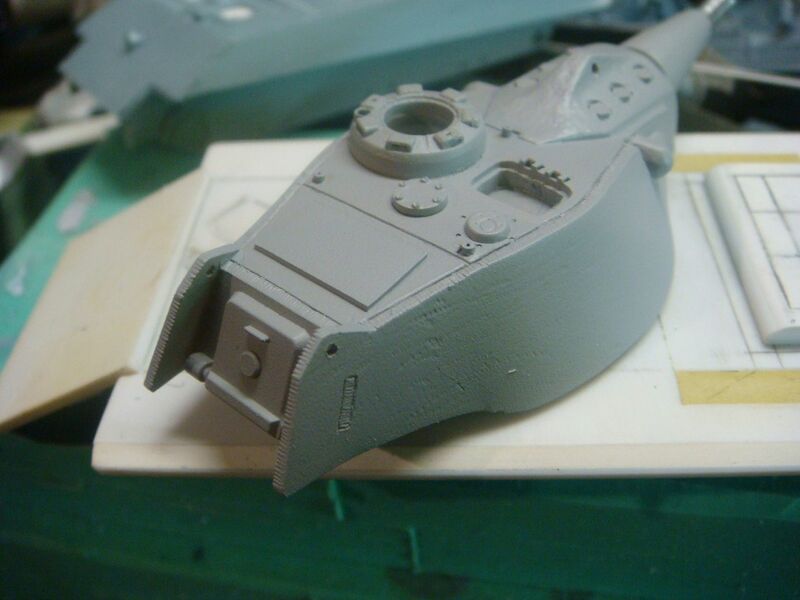 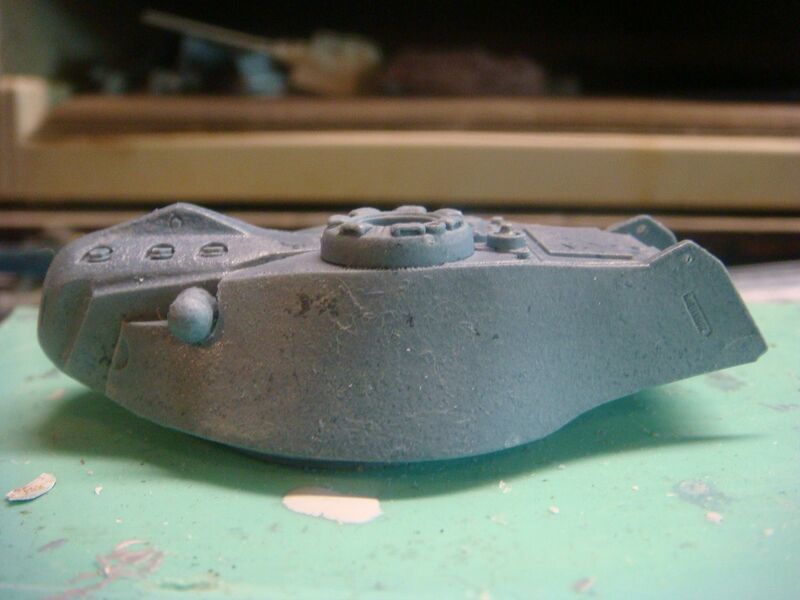 and filled the turret and hull with resin to make them easier to work with. 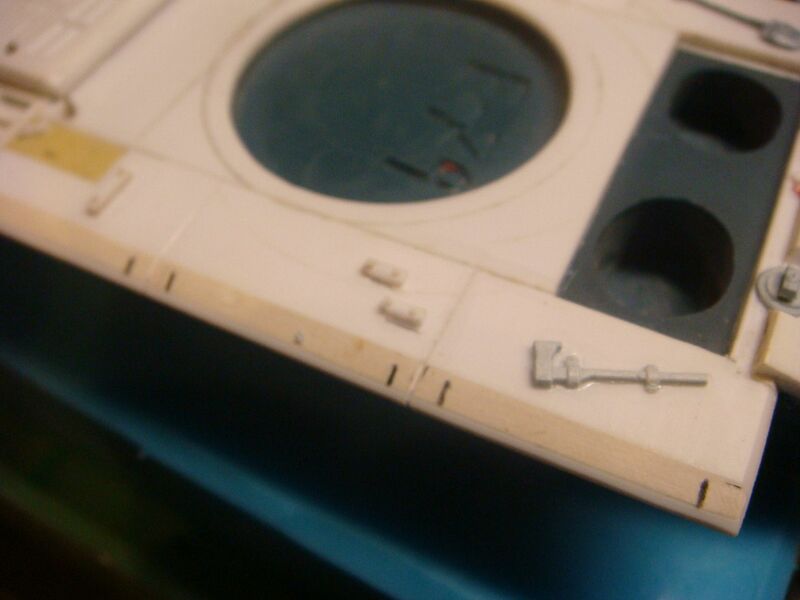 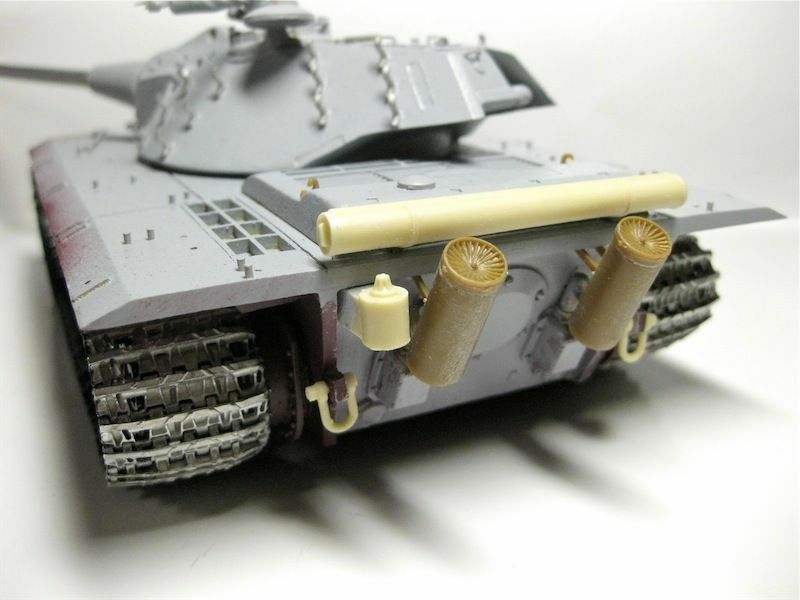 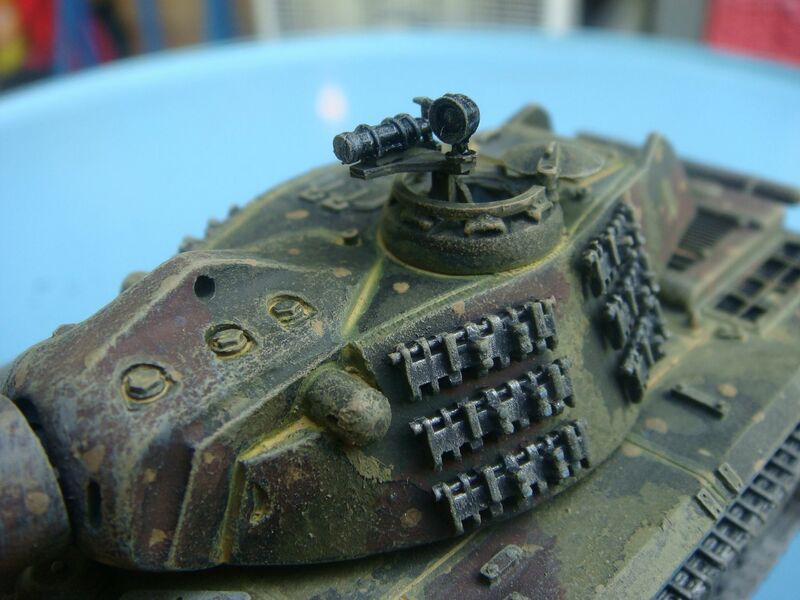 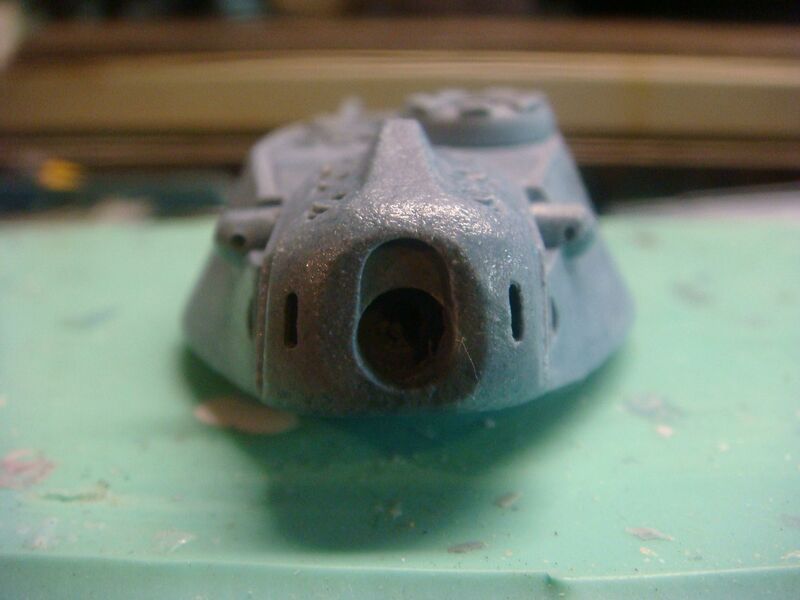 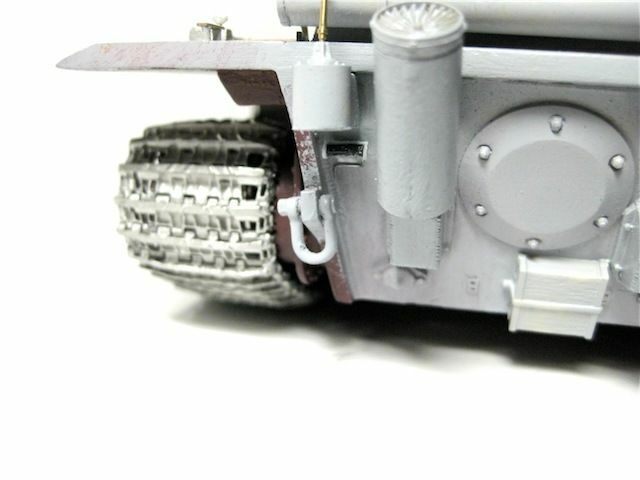 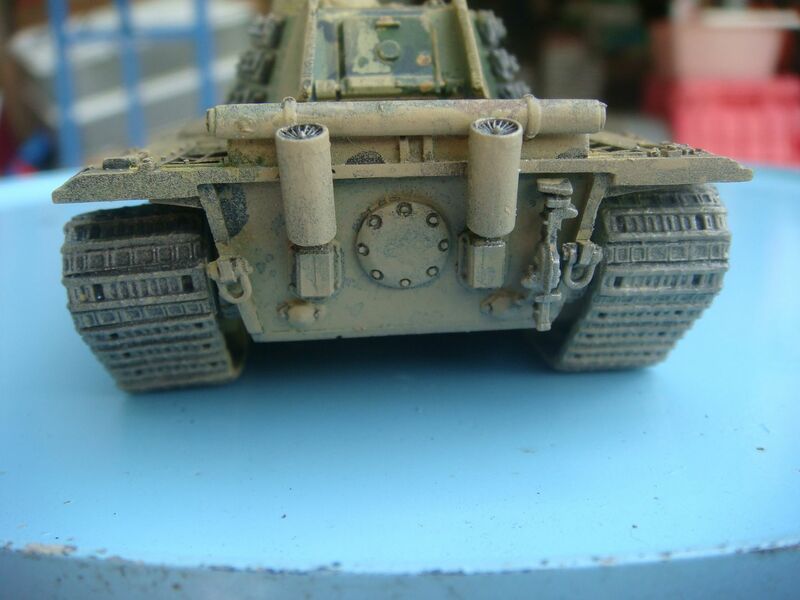 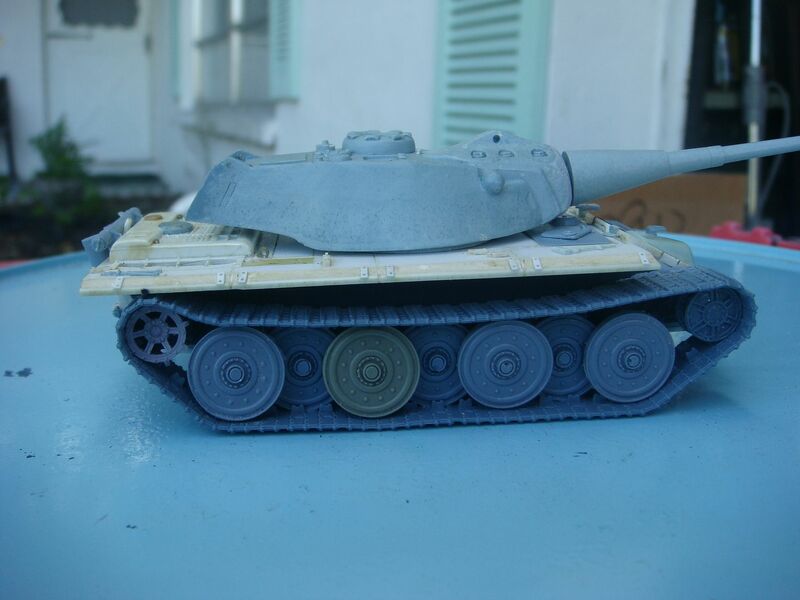 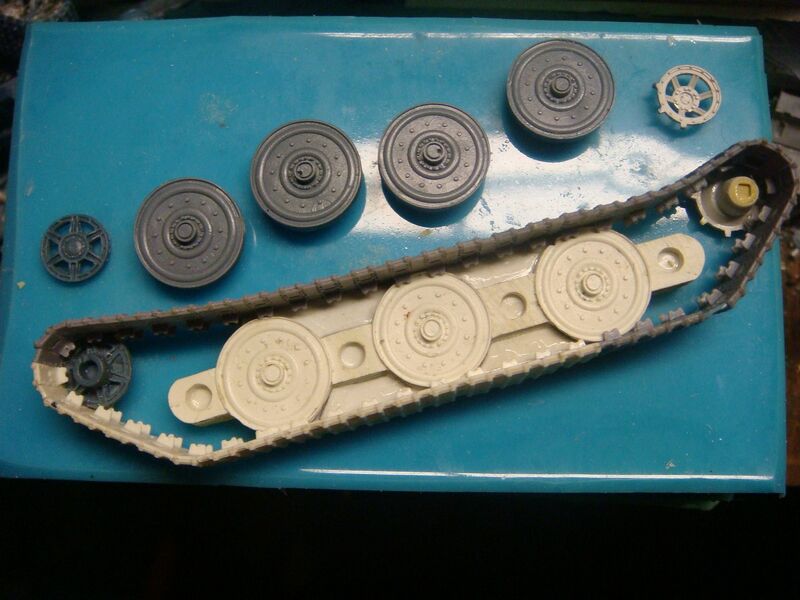 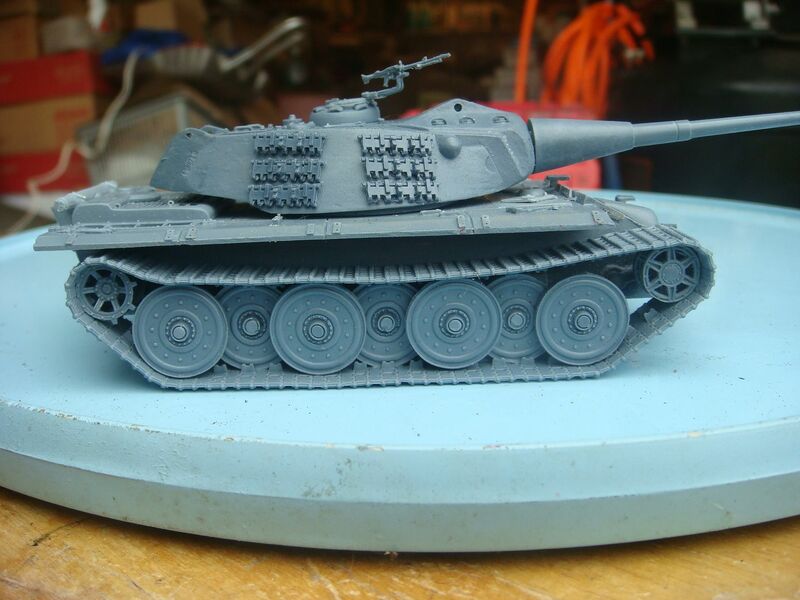 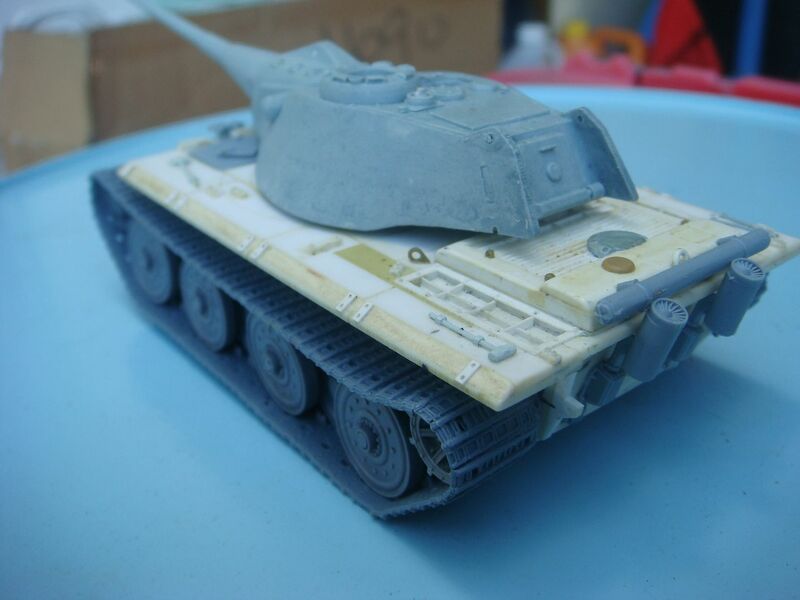 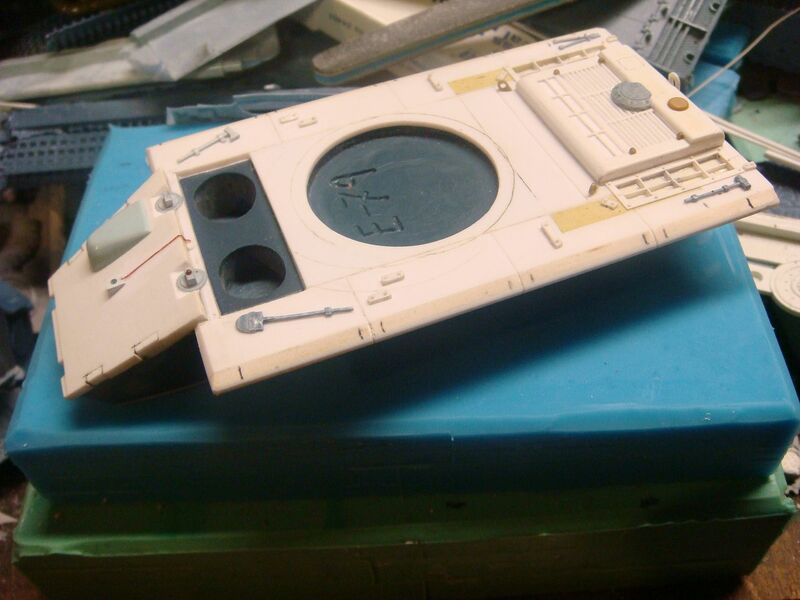 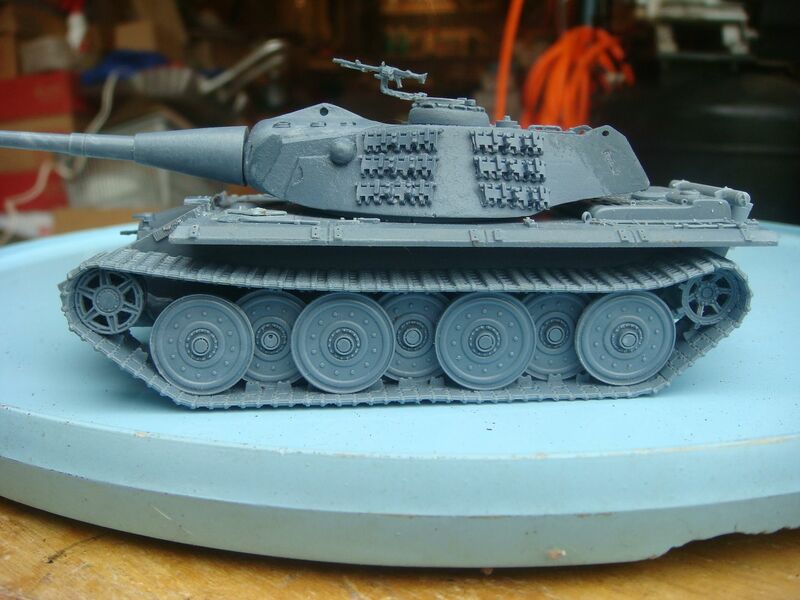 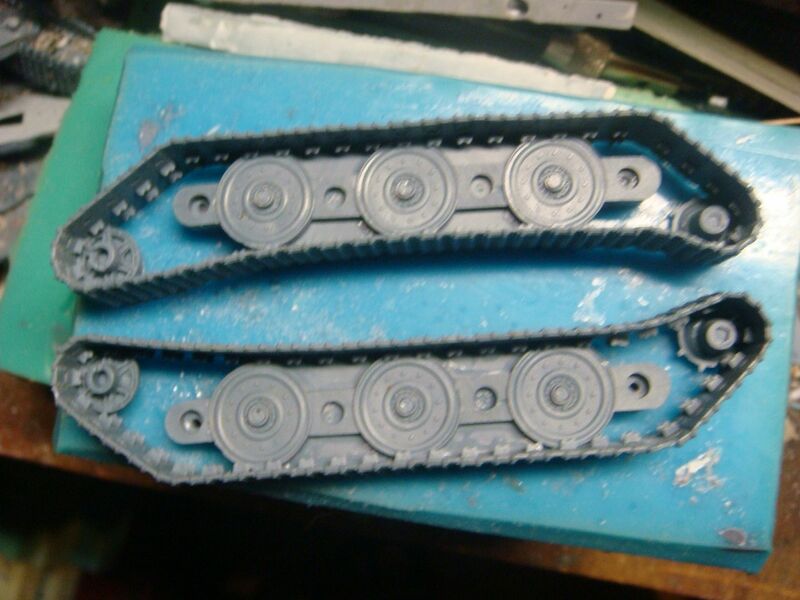 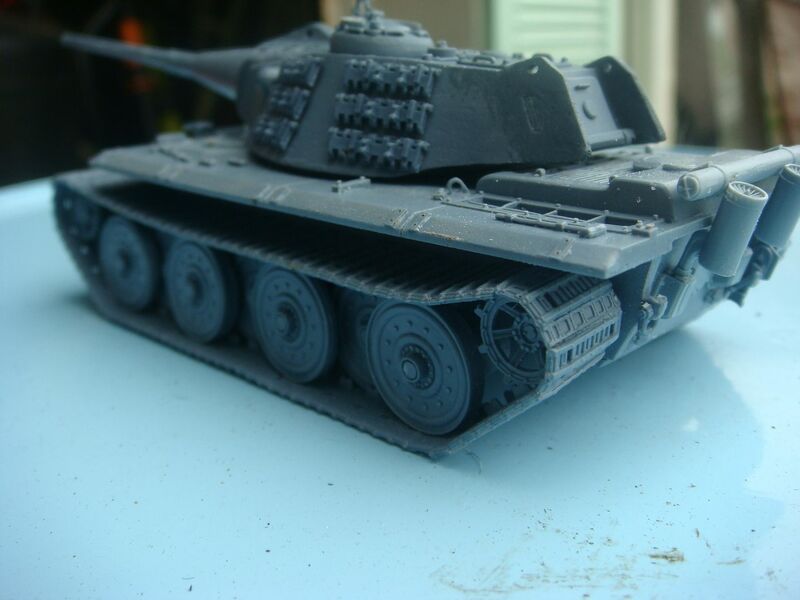 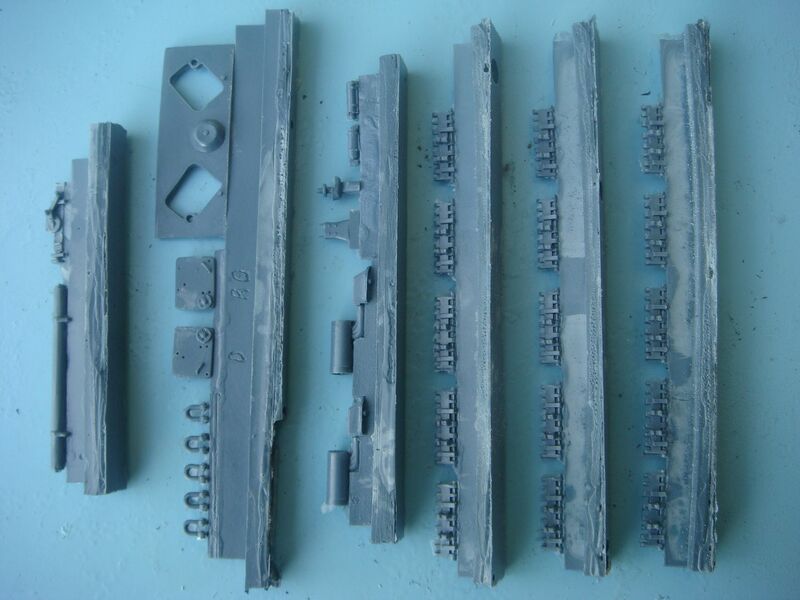 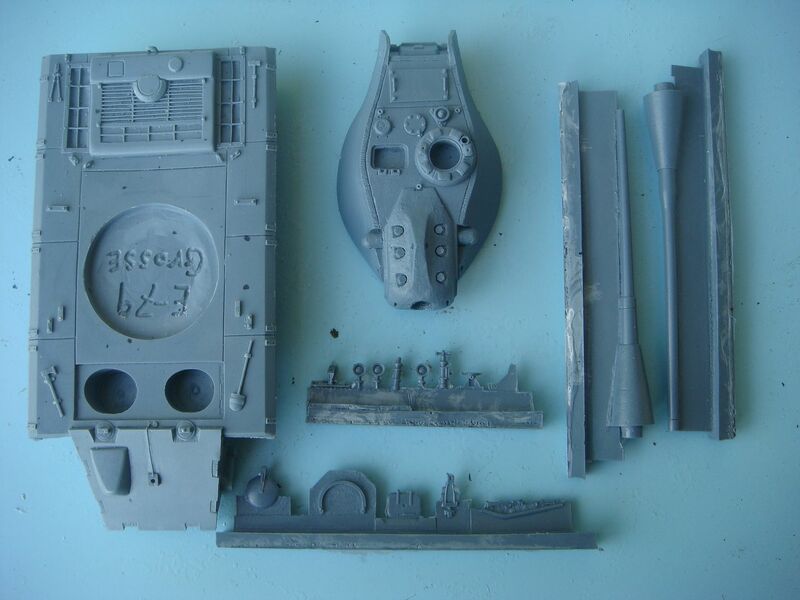 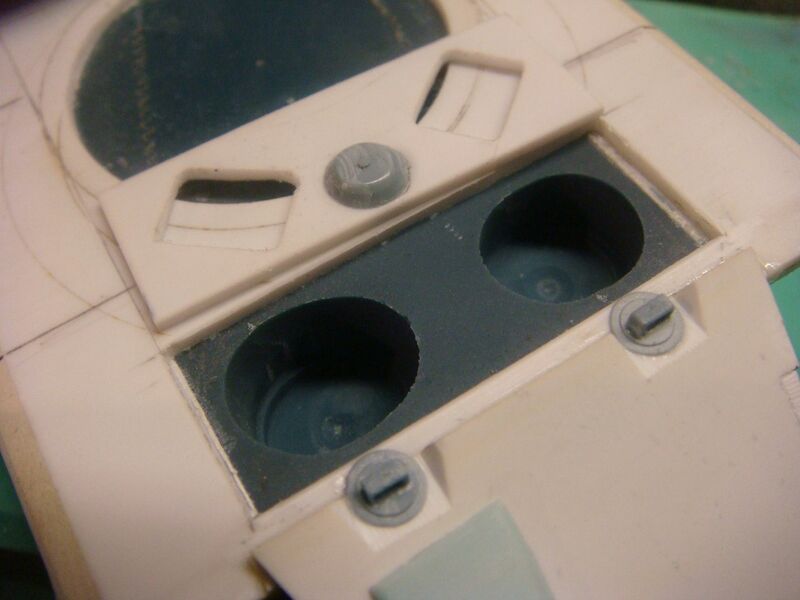 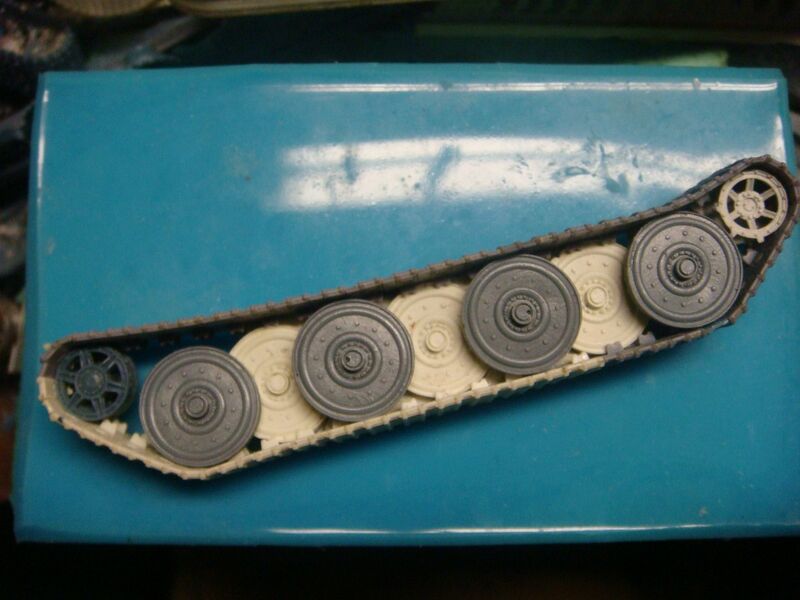 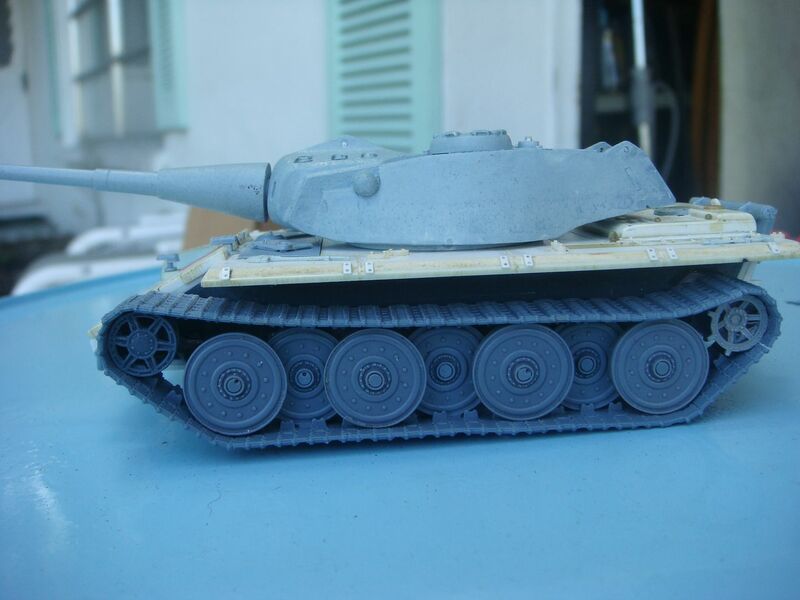 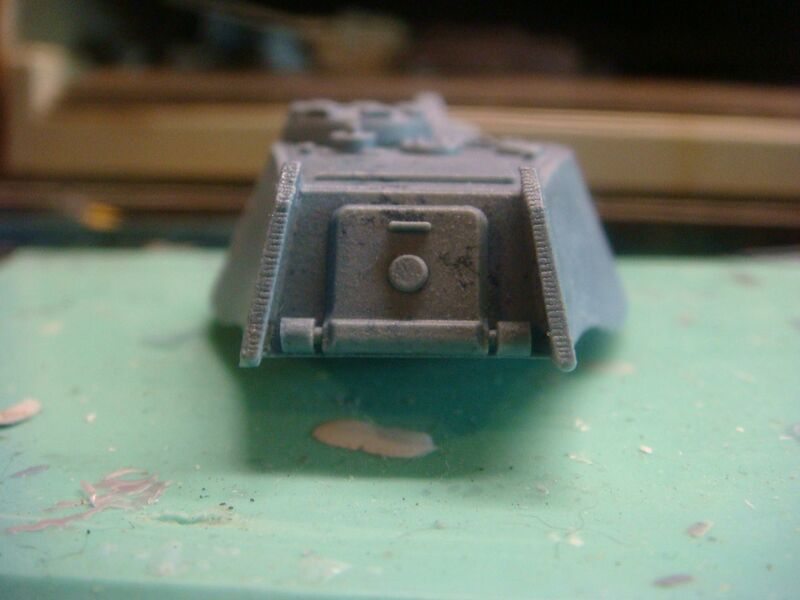 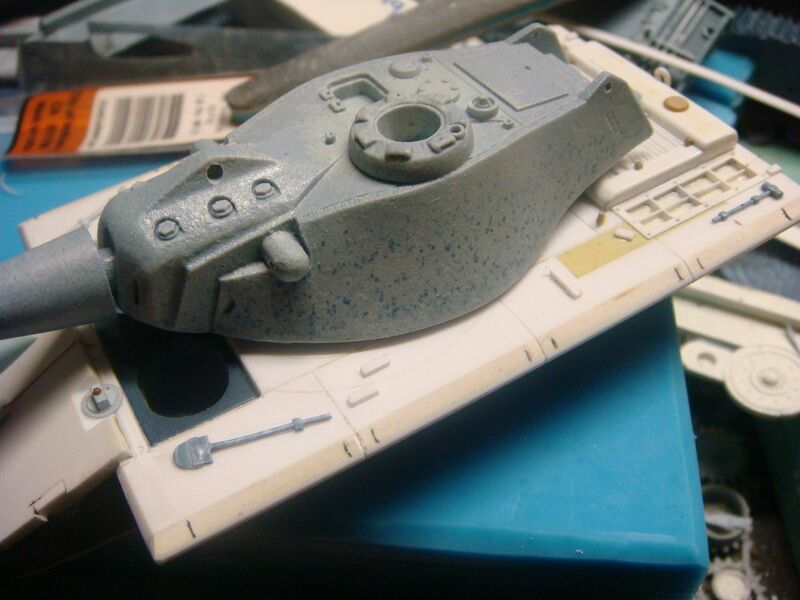 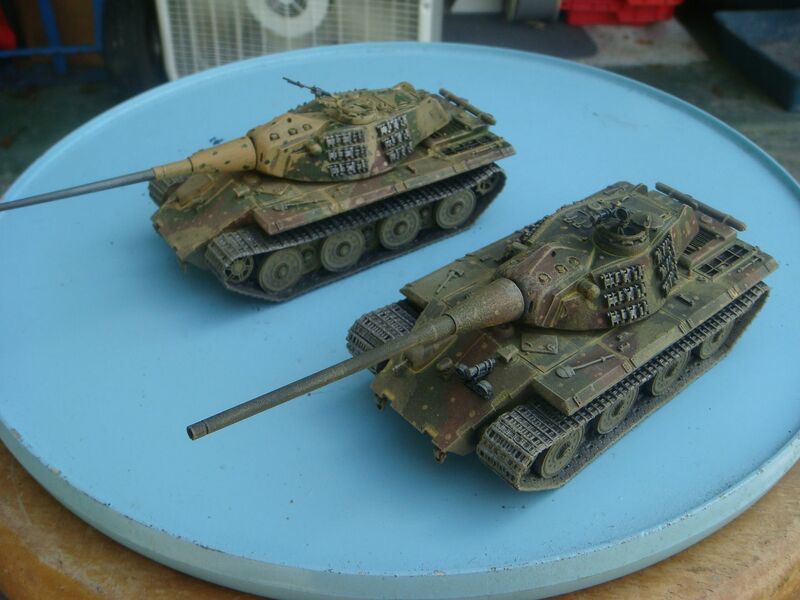 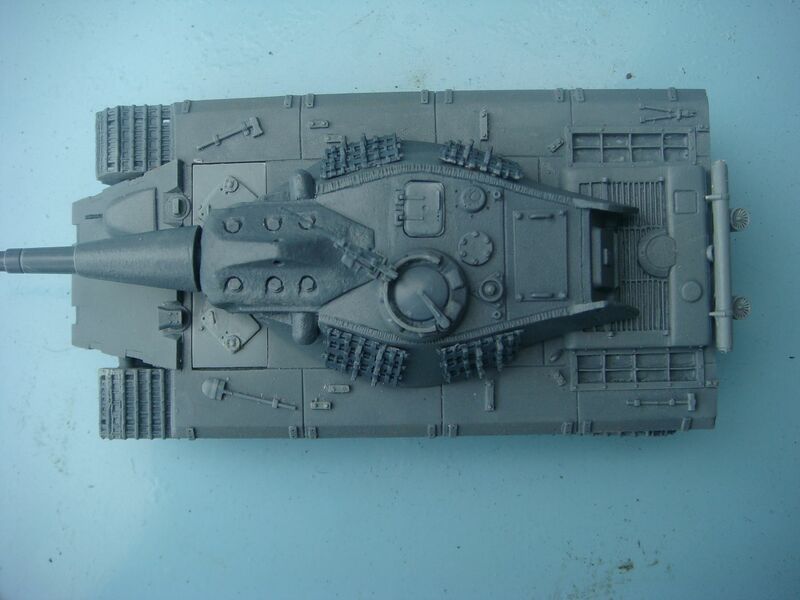 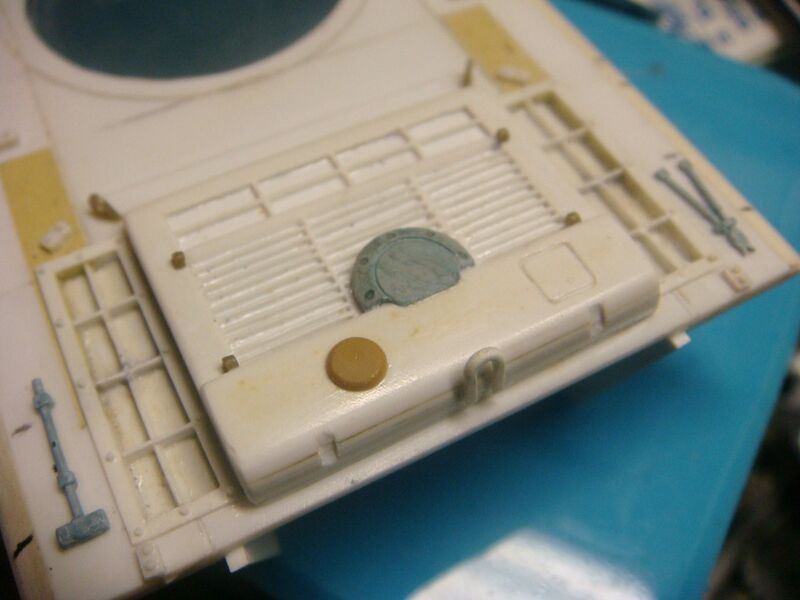 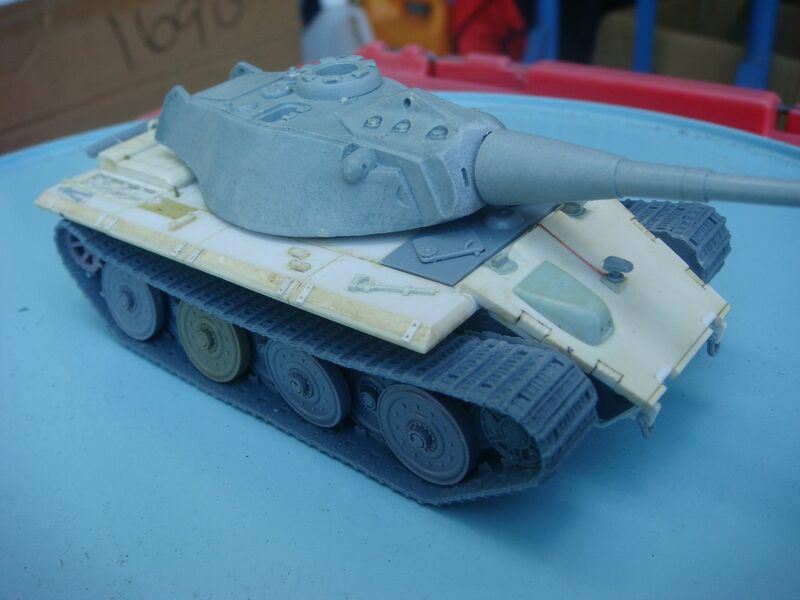 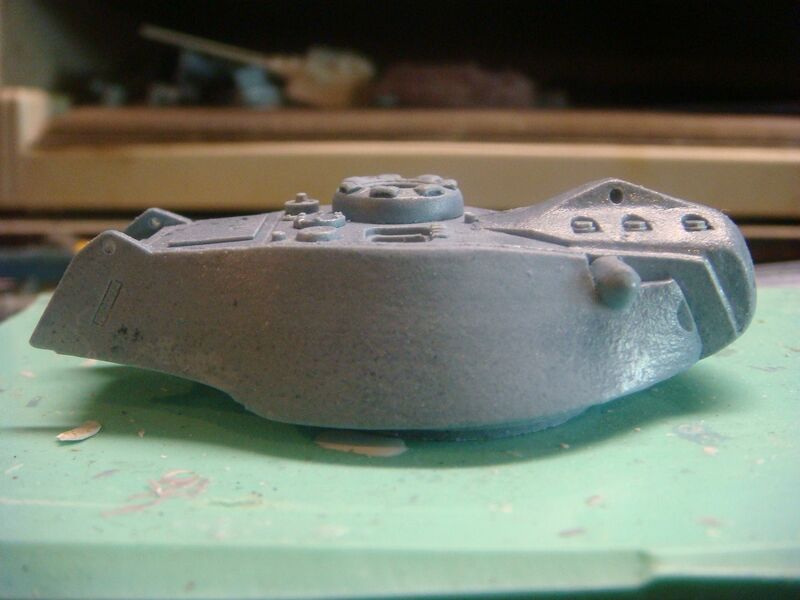 as you can see I filled them with resin, and opened the rear of the turret more. 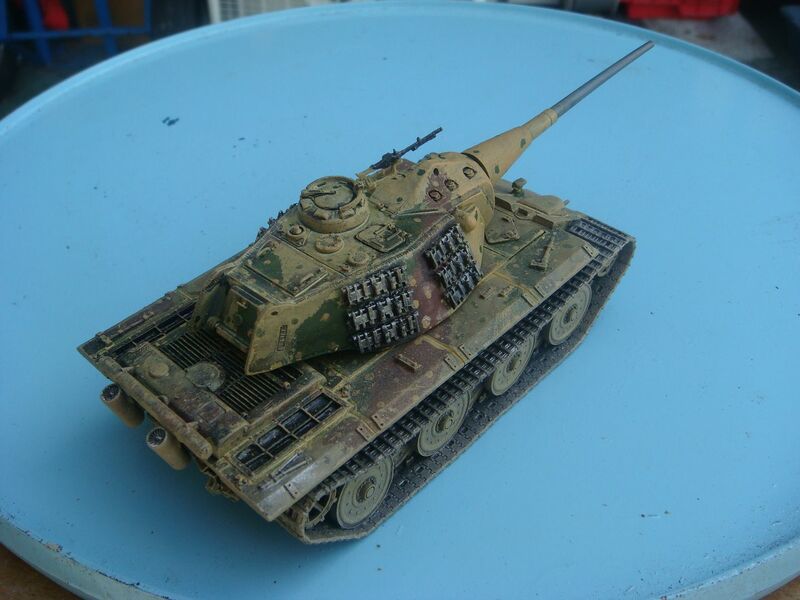 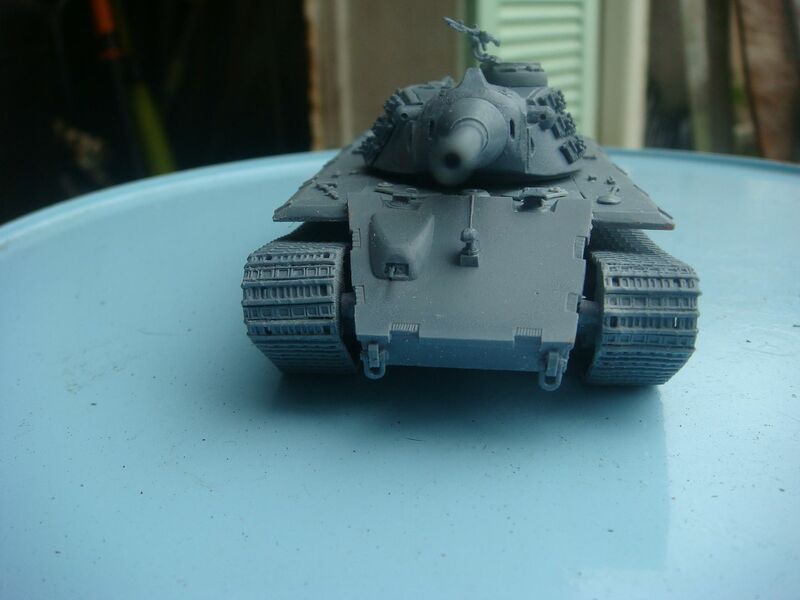 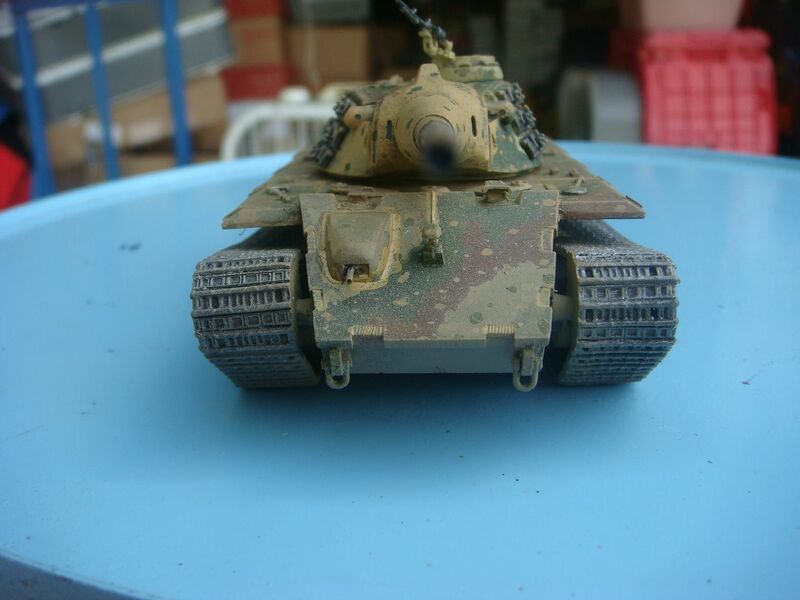 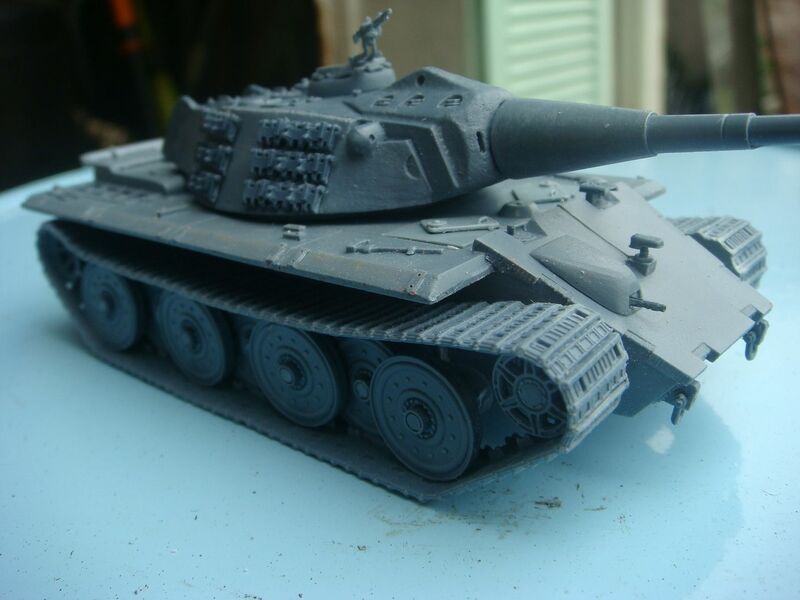 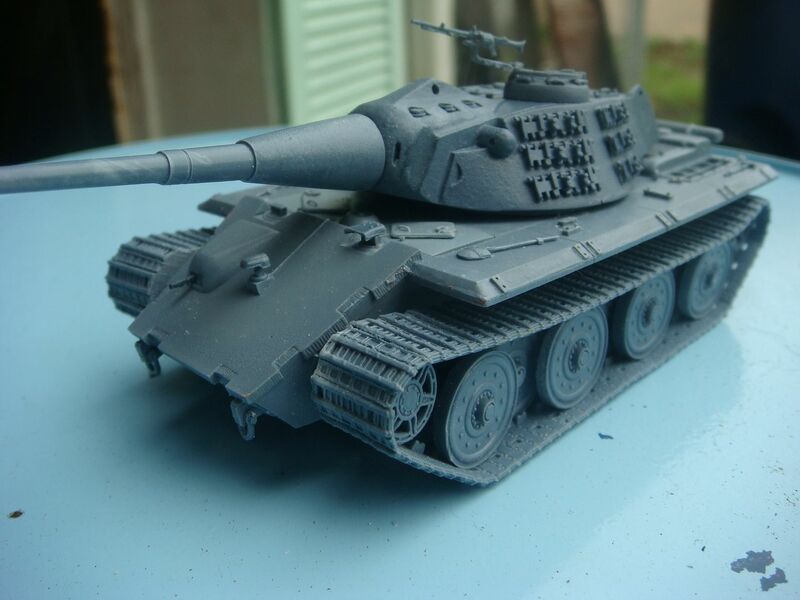 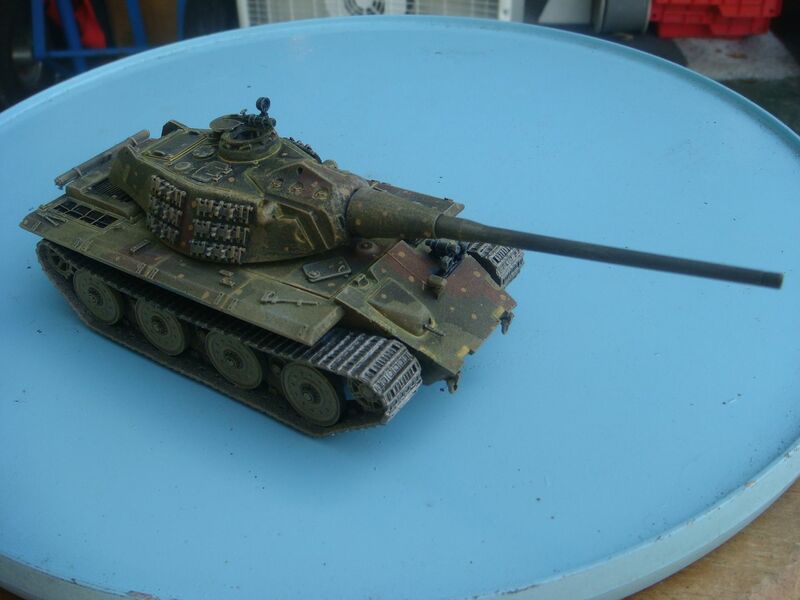 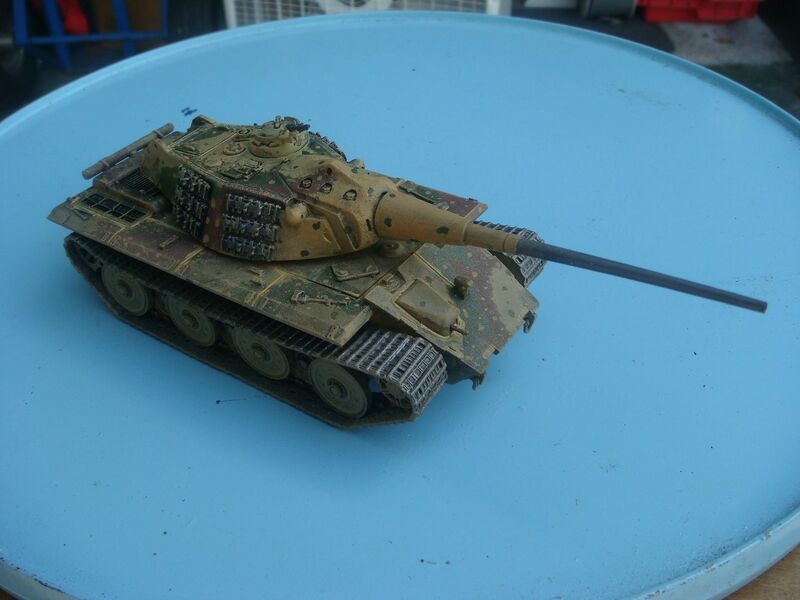 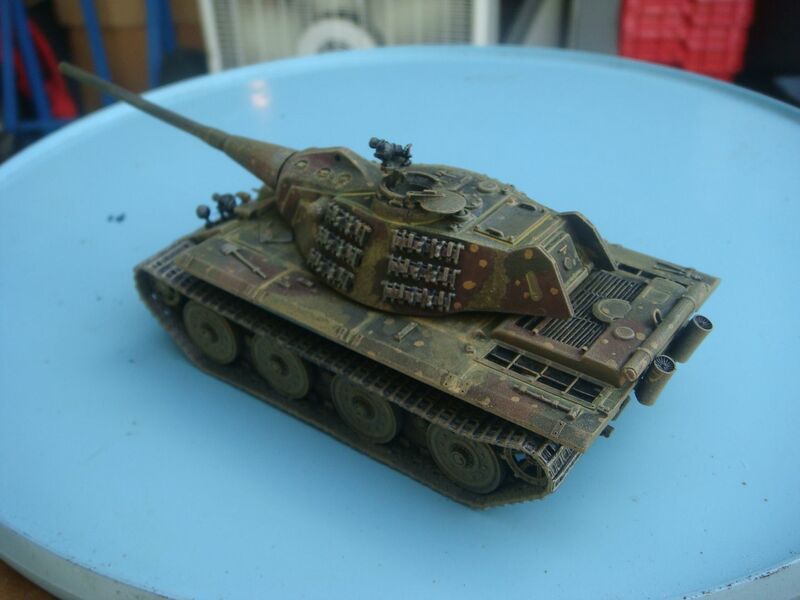 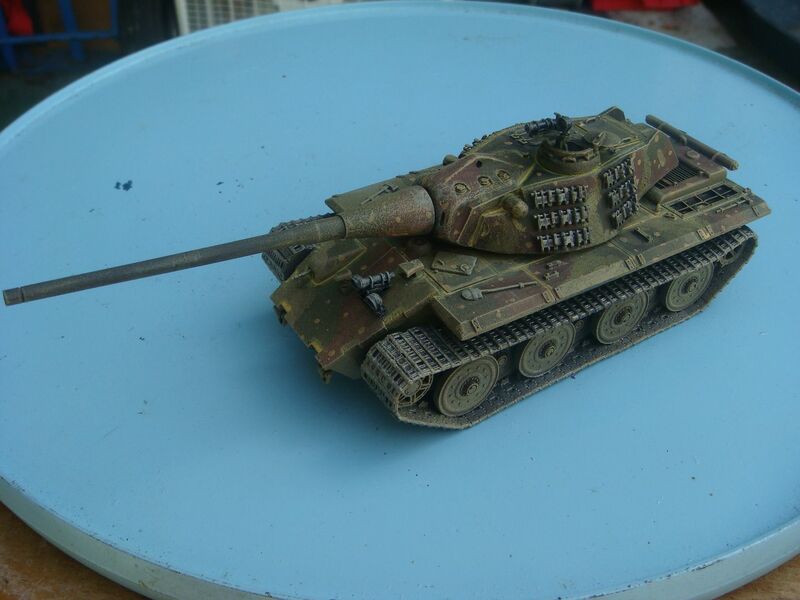 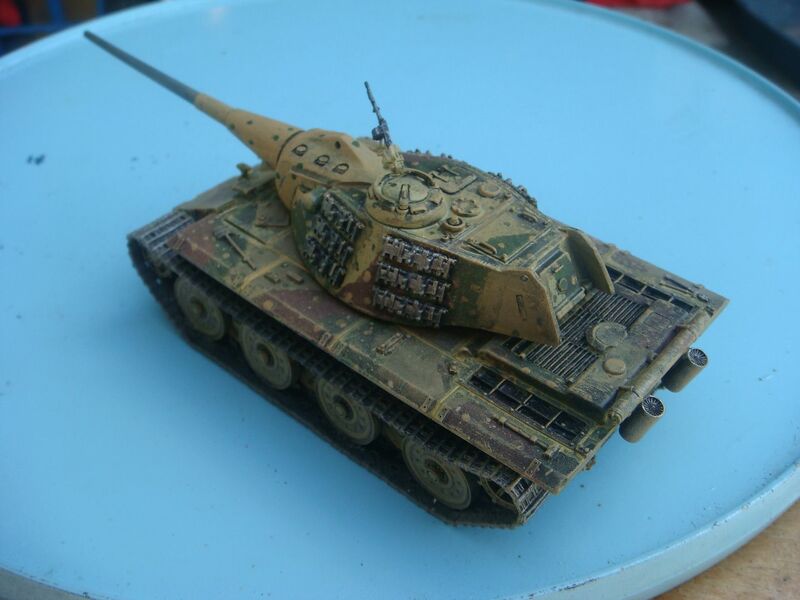 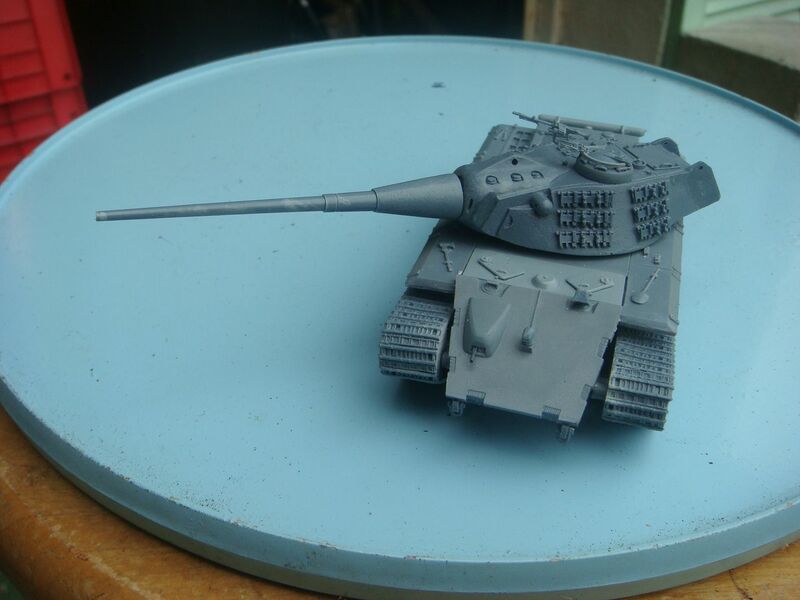 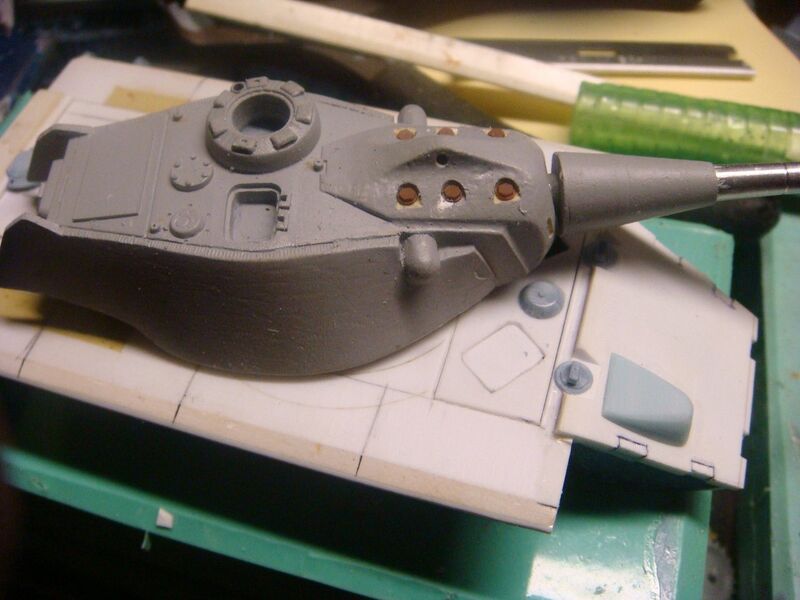 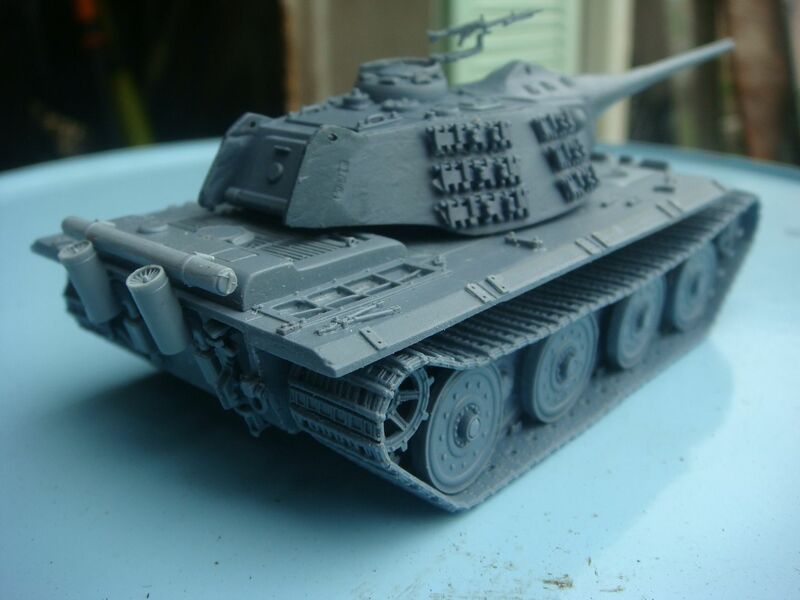 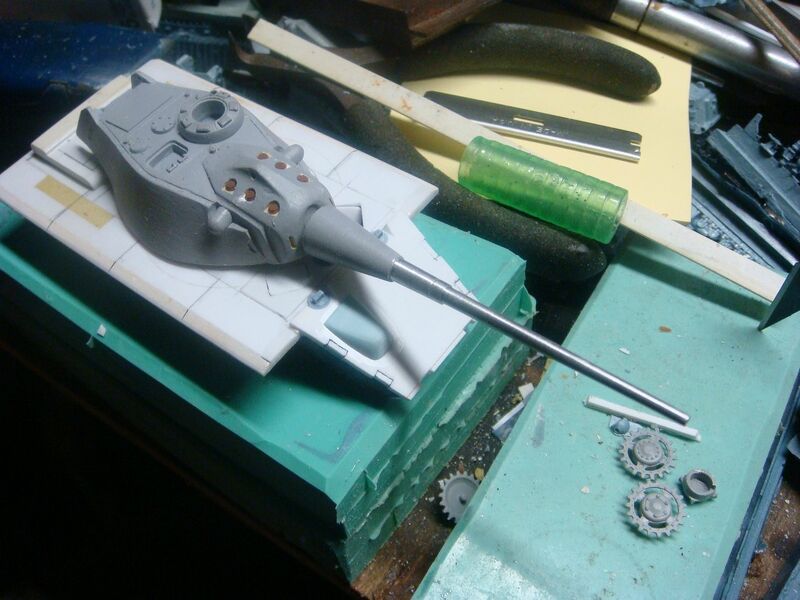 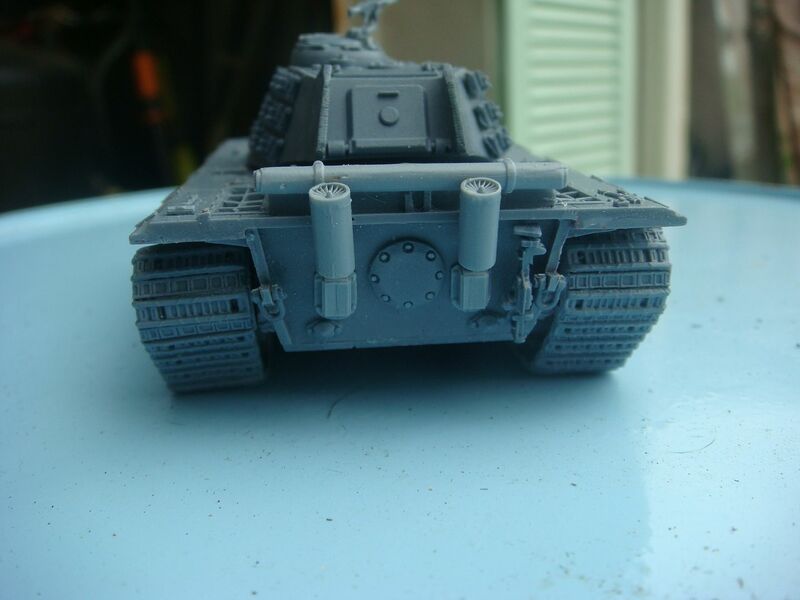 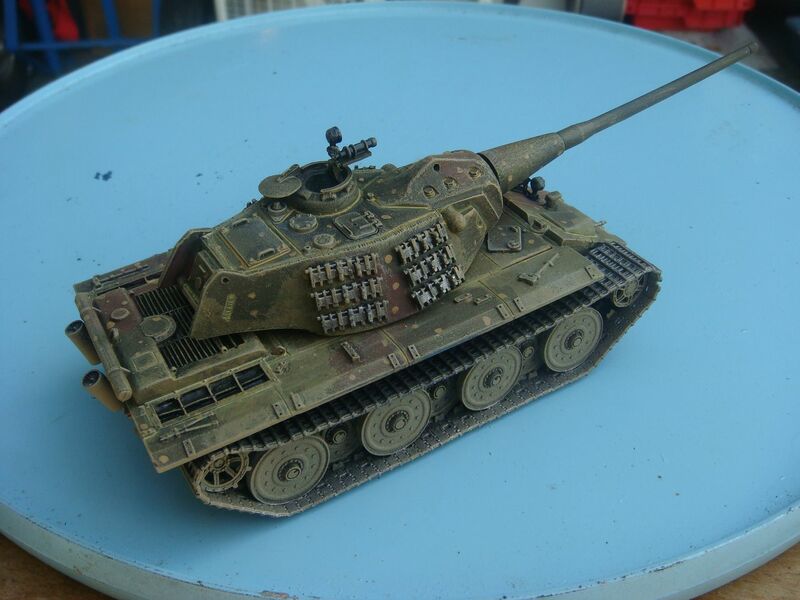 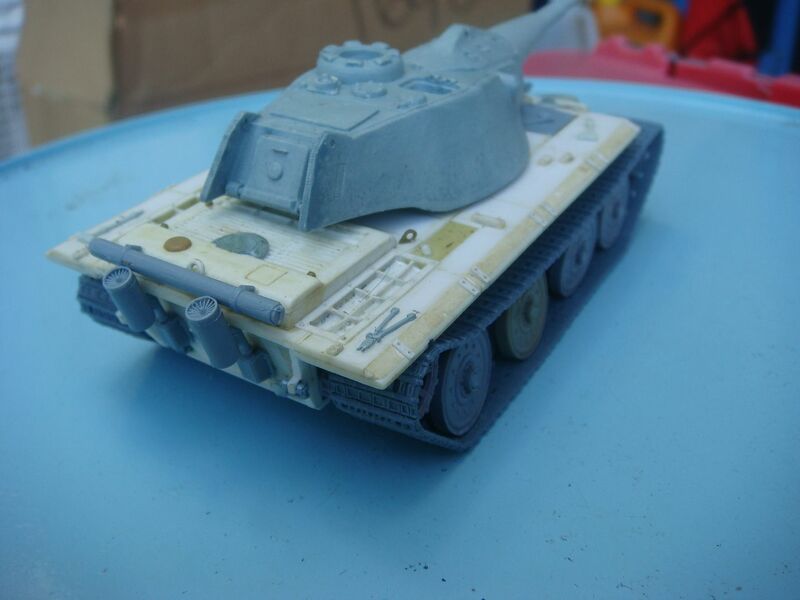 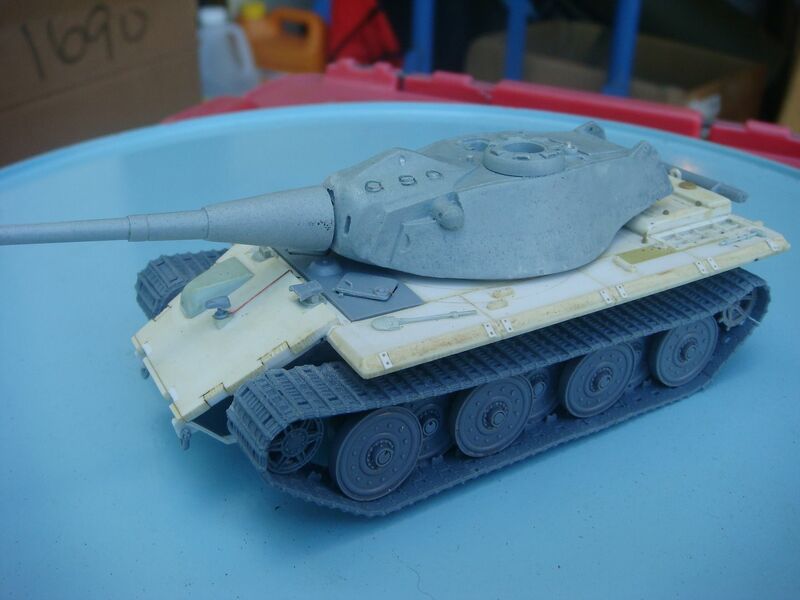 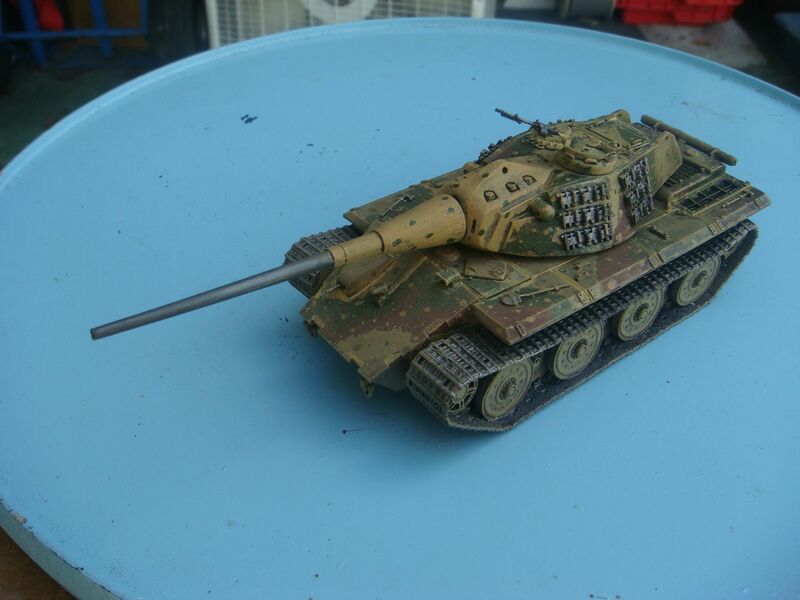 the engine deck, added a Tiger II cupola, and started work on the gun. 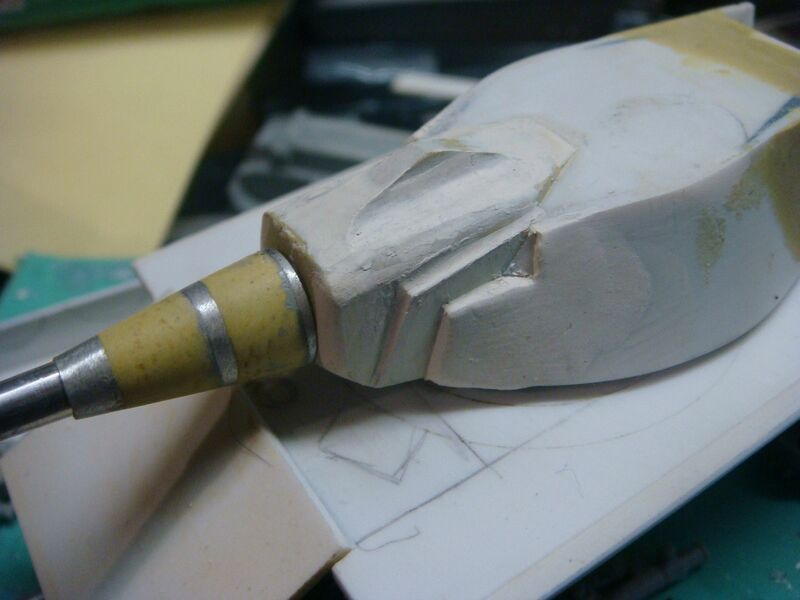 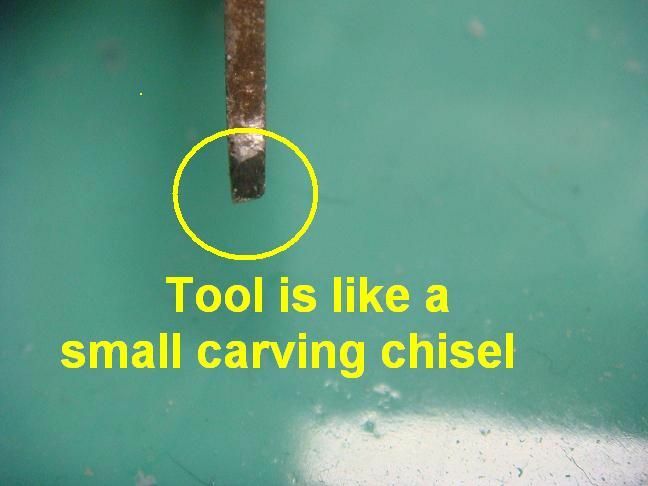 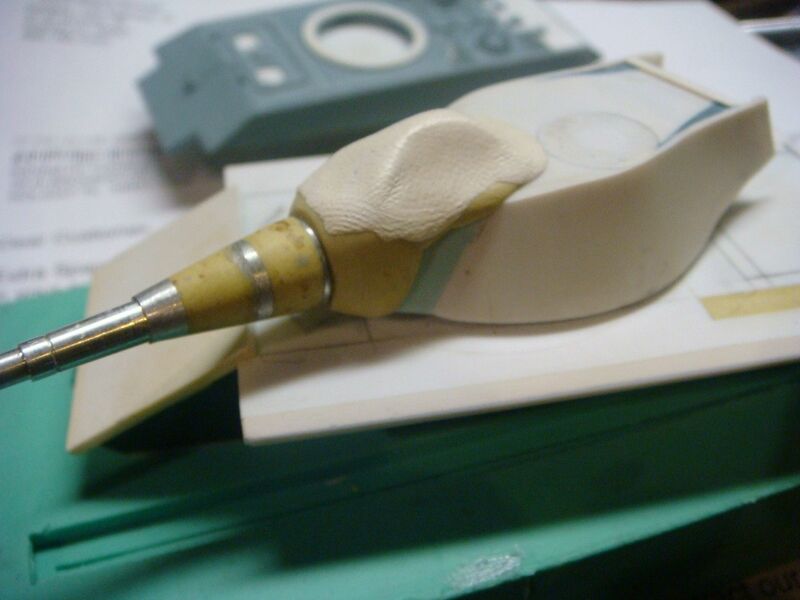 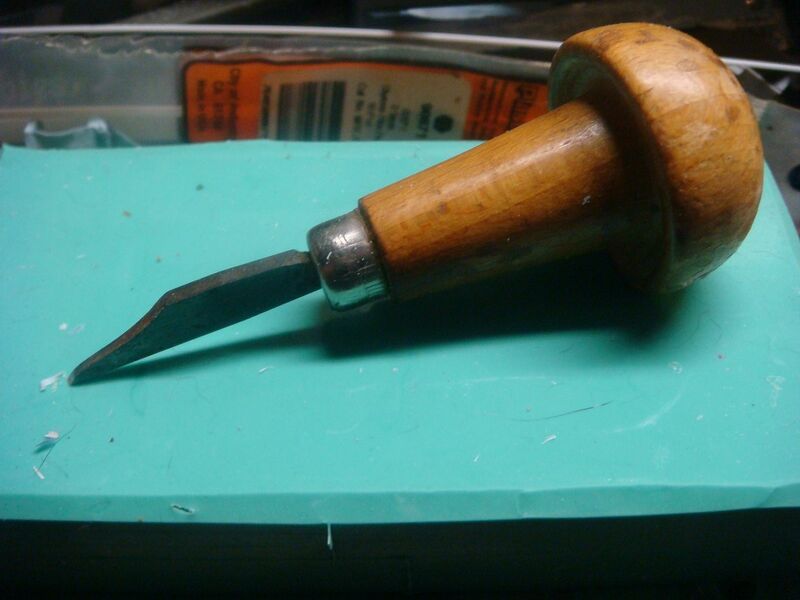 this is after several layers of Milliput, and starting the carving it to shape. 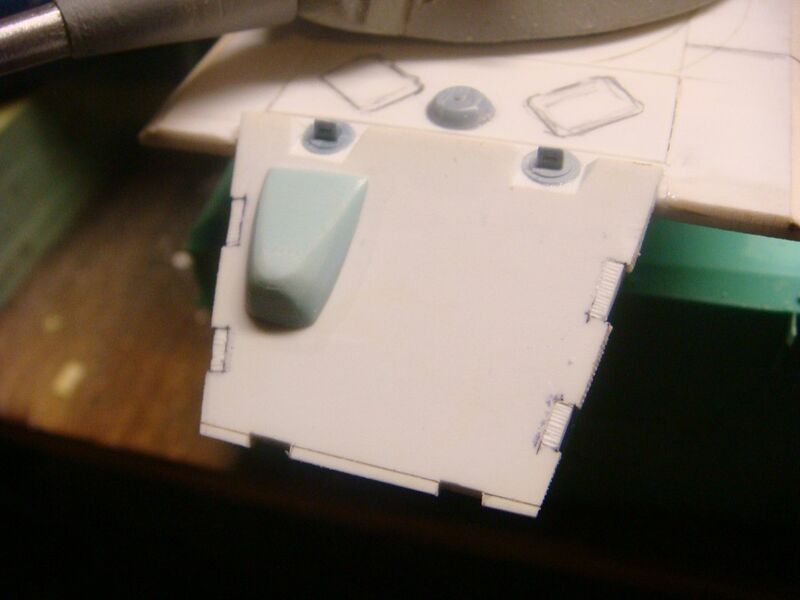 I neglected to mention that I also grinded away the tail end (sides) to my desires. 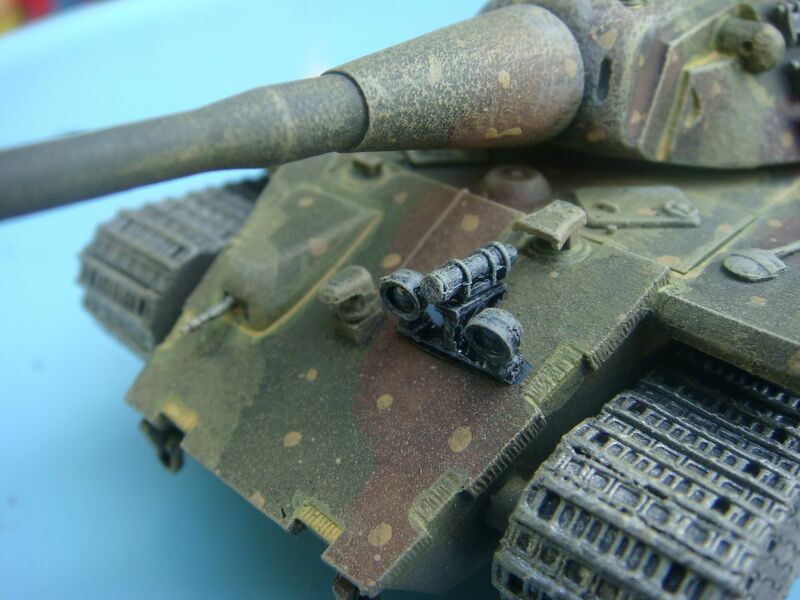 while staying true to the Panzer front concept. 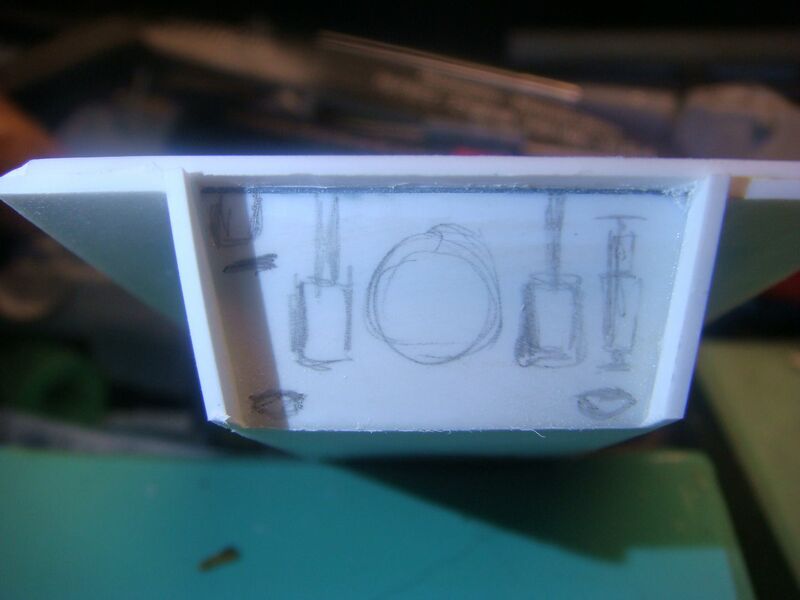 as you see I have played with the periscopes, and added a vent fan to the hull roof. 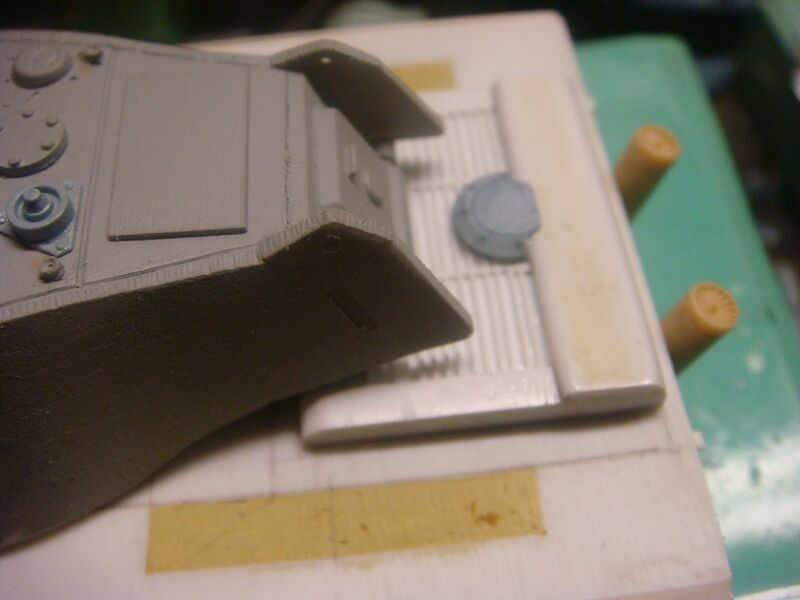 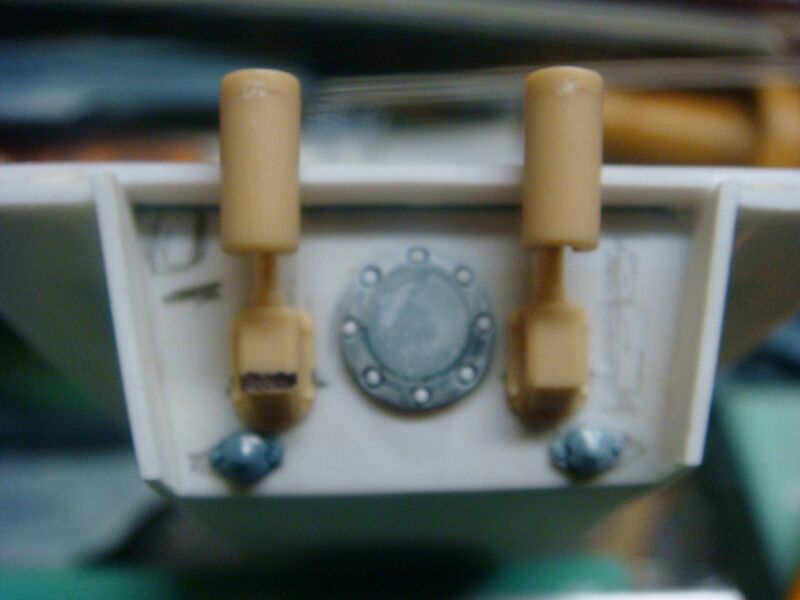 I decided the open the hatches for the Driver and radio operator. 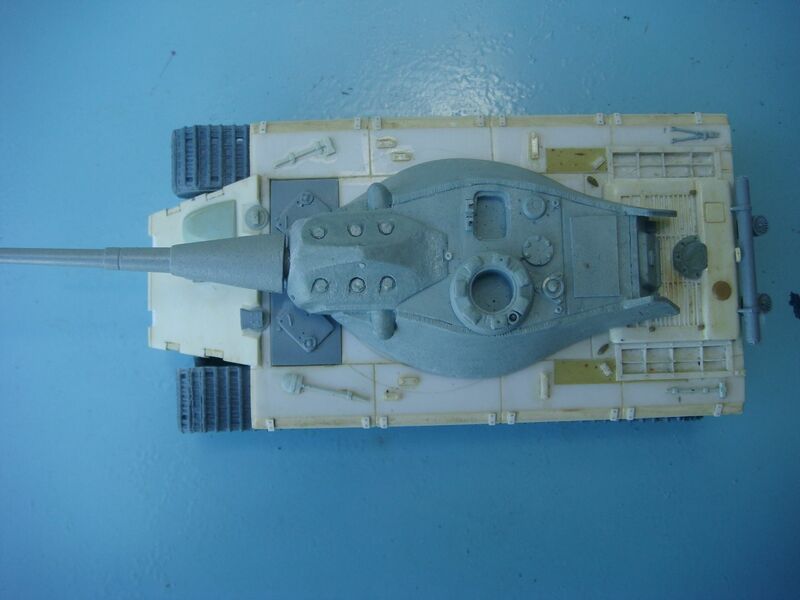 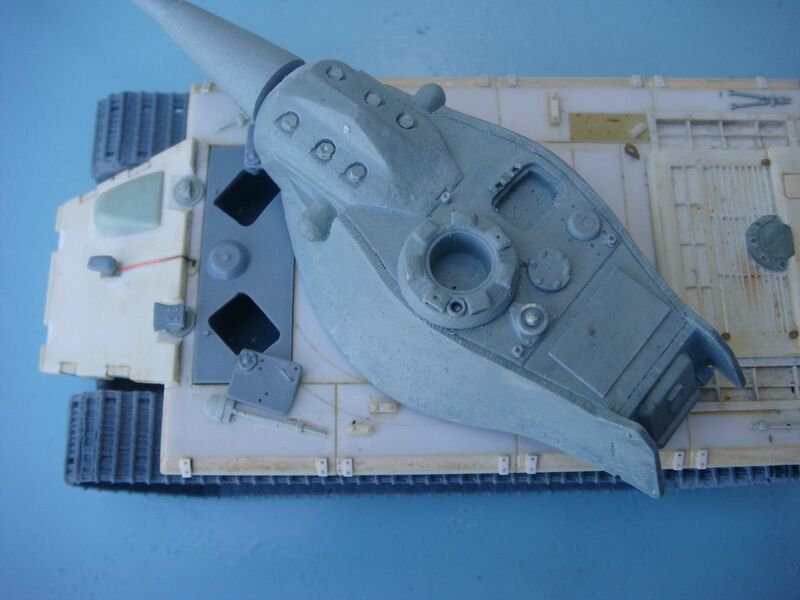 here is an Over All view showing the the turret and gun in place. 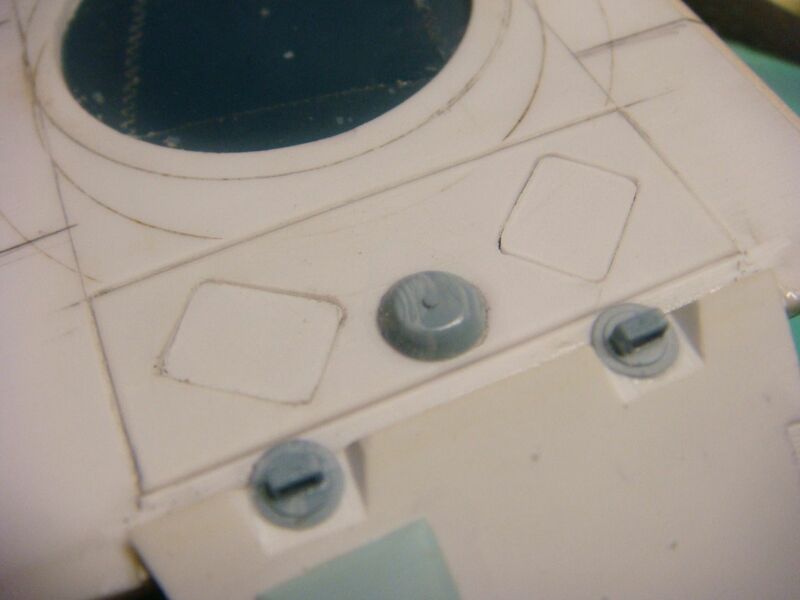 well that is where I am for now. 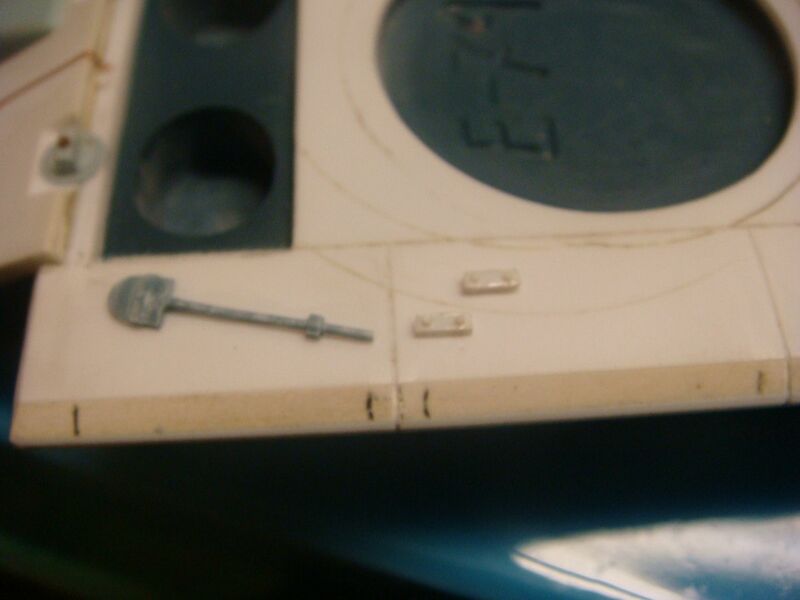 Once the Pin is pulled......Mr. 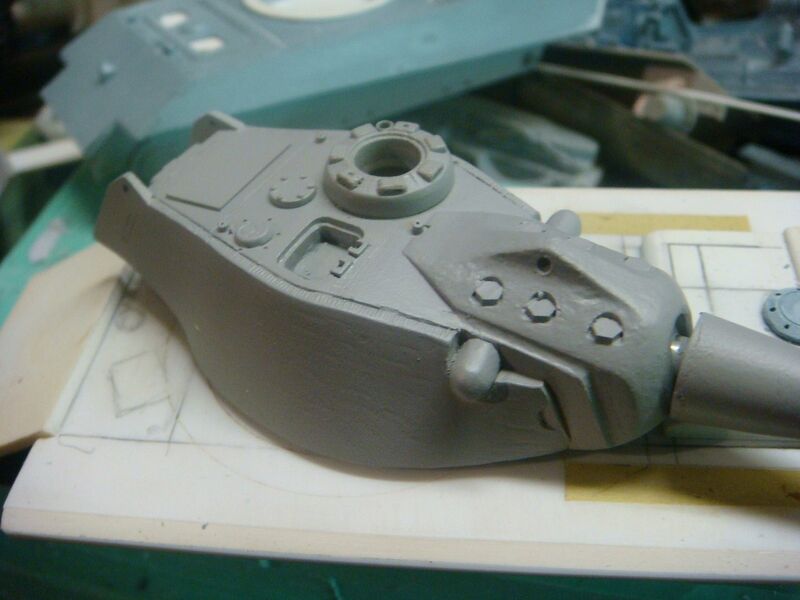 Grenade is not your friend. 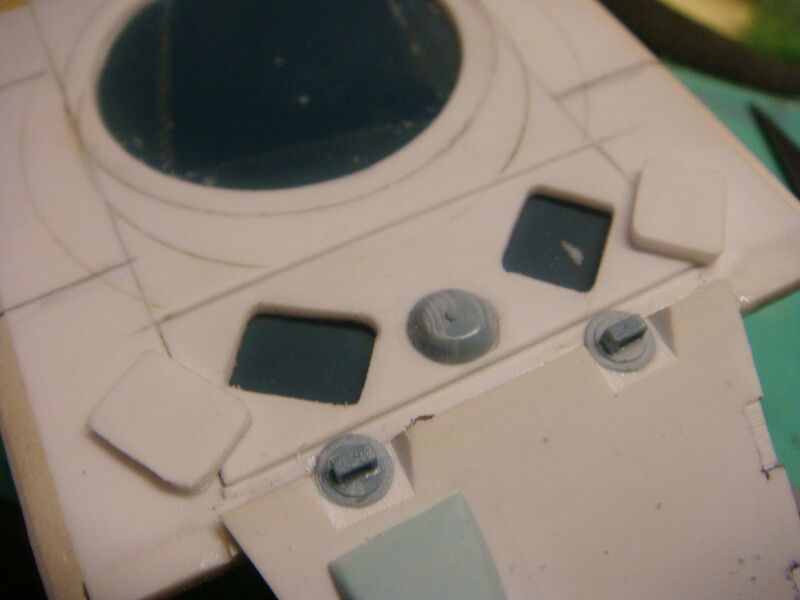 you can see it is bereft of detail. 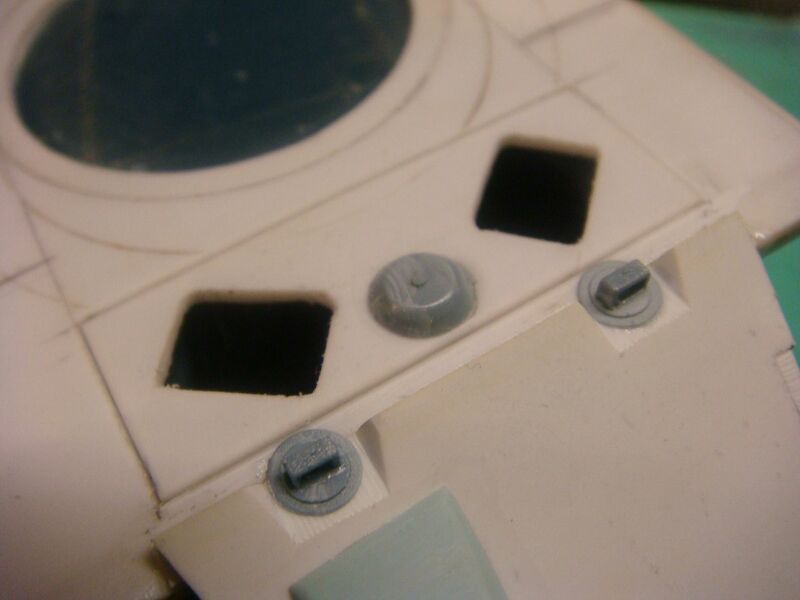 I then drilled a hole for mounting the MG barrel, and a smaller one to represent the site aperture. 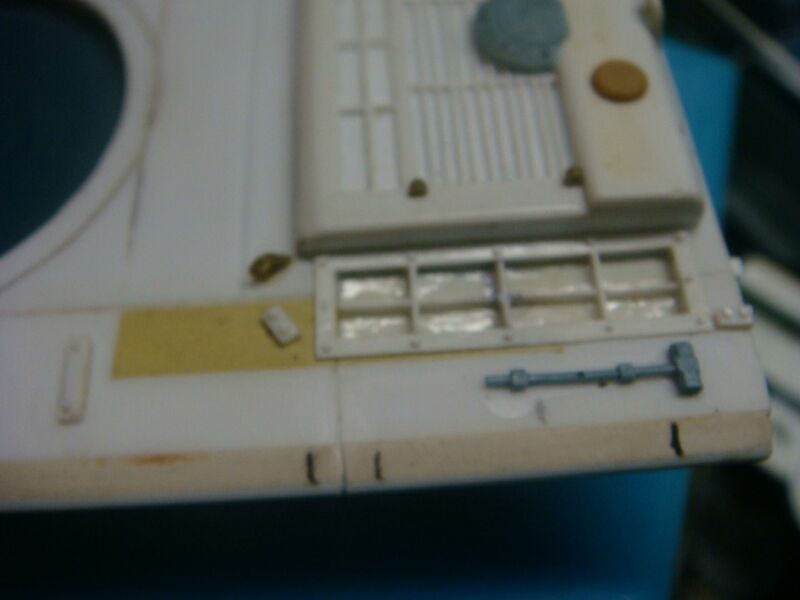 From here I turned my attention to the rear end of the hull. 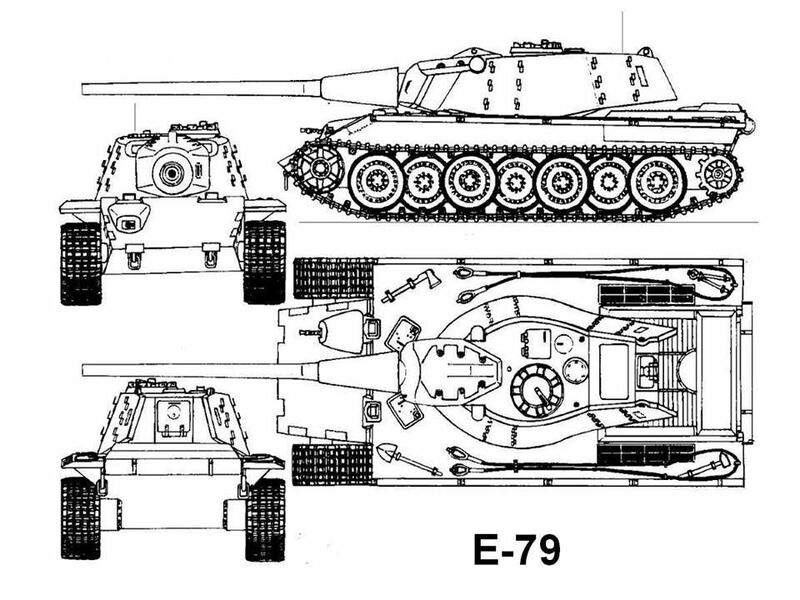 now more than one example I have seen of the E-79 shows no exhaust pipes. 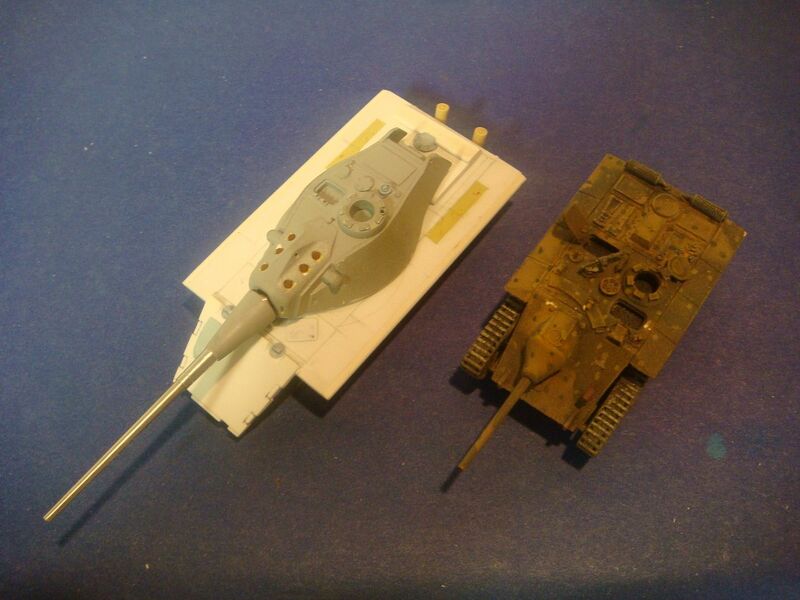 I decided to go the same route. 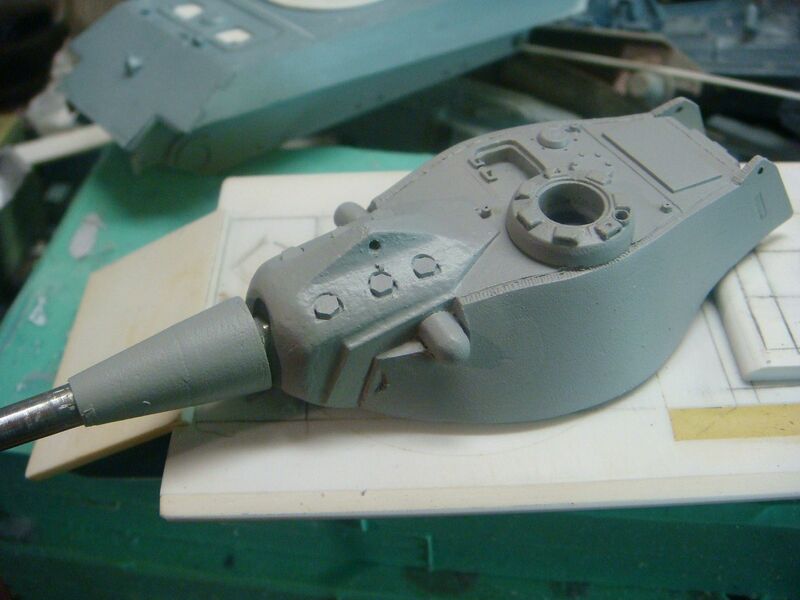 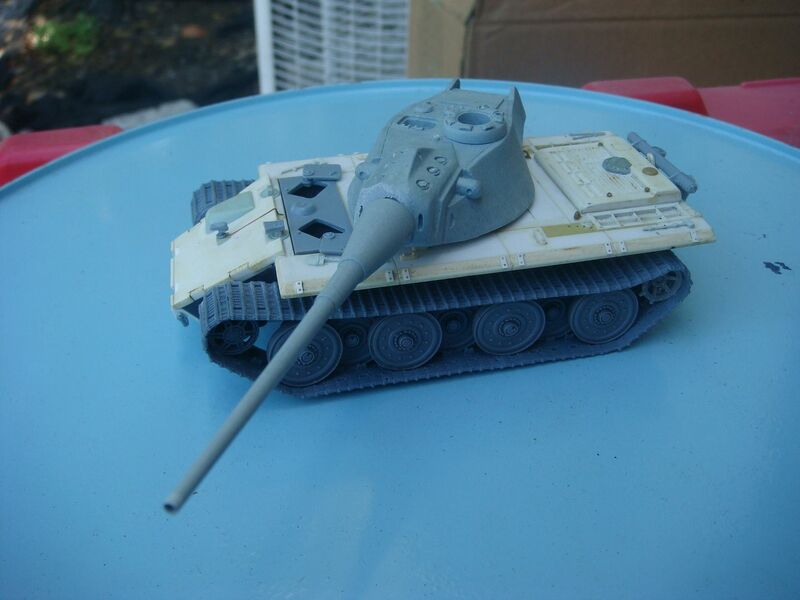 In my mind I see a "big" E-10, but with a turret. 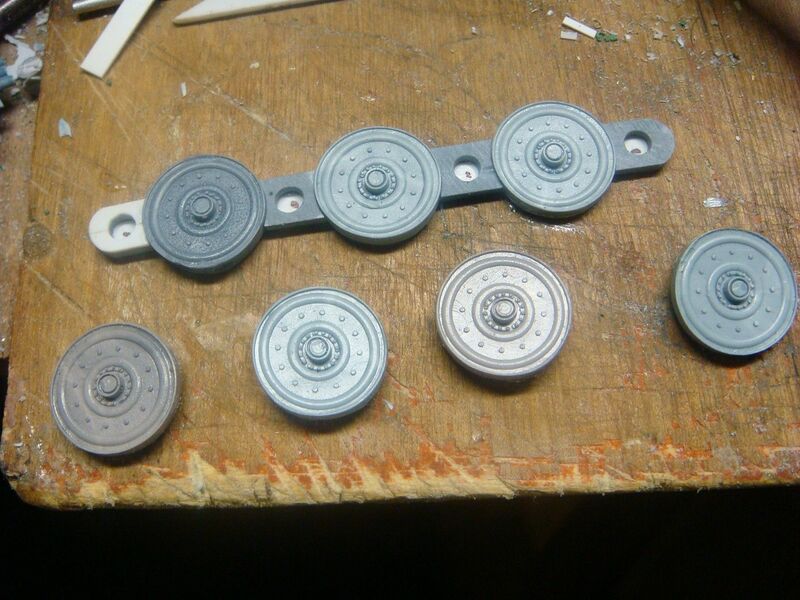 I have now worked out my "wheel spacing" for the running gear. 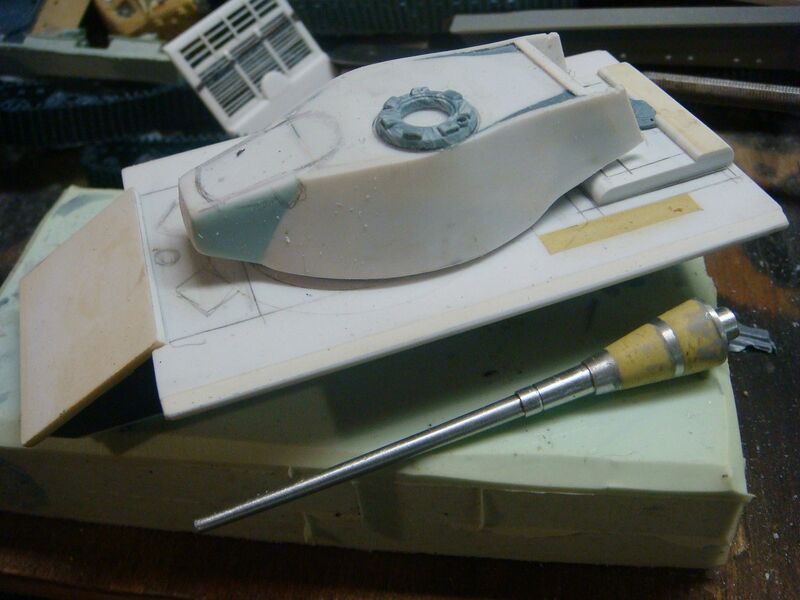 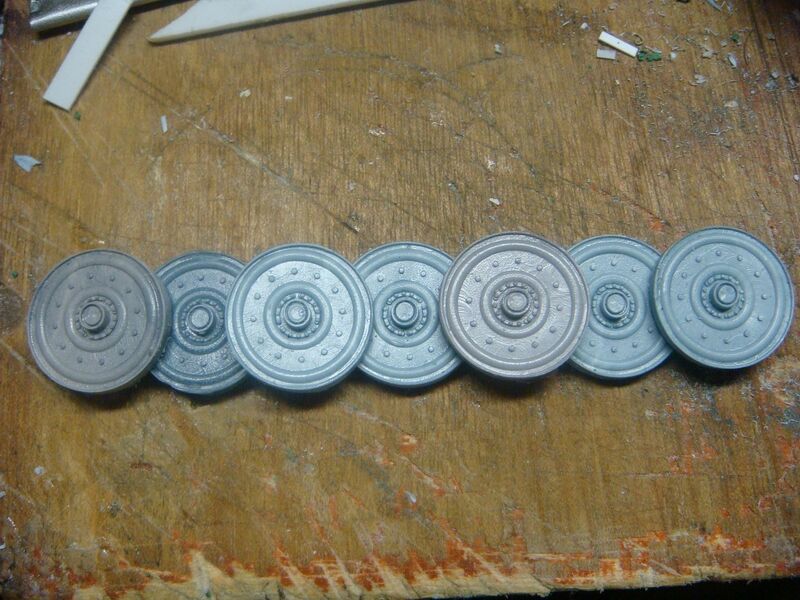 I will mold this and cast resin to make two sets. 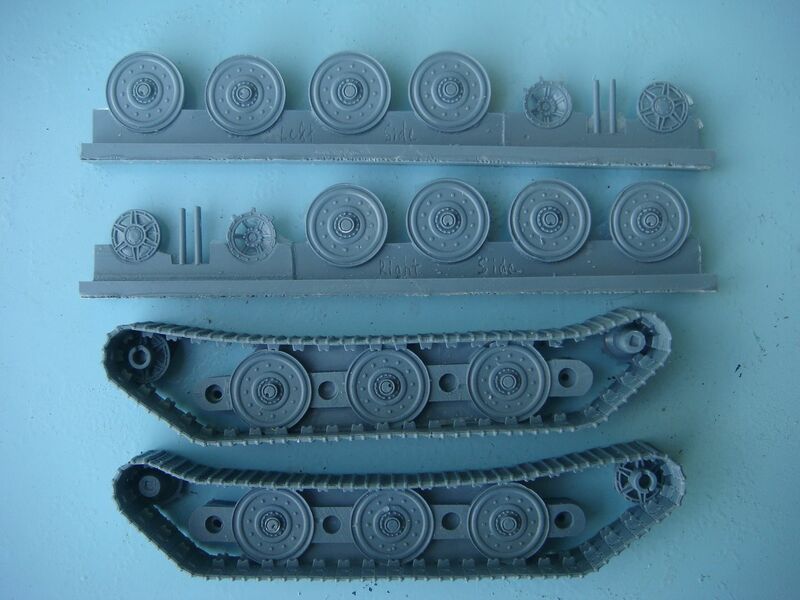 Then I will have what I need for the Left and the Right sides. 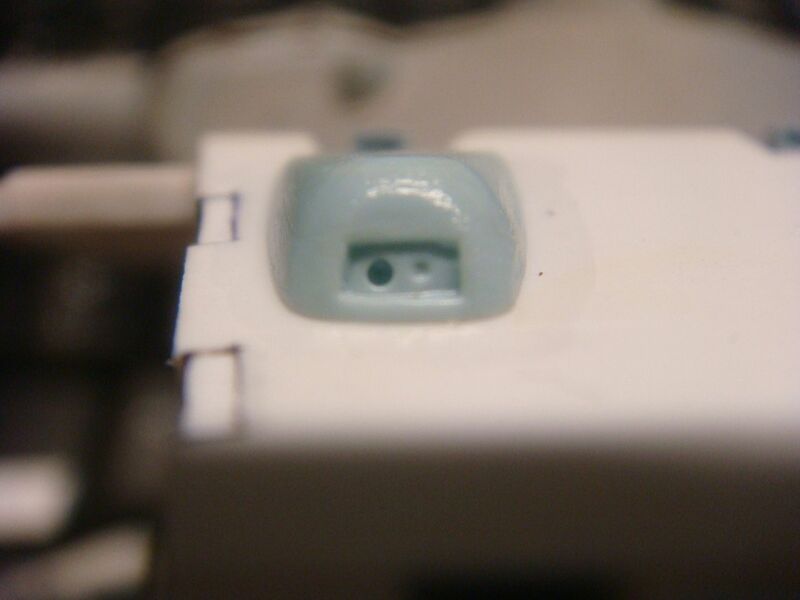 or drop it, or something. 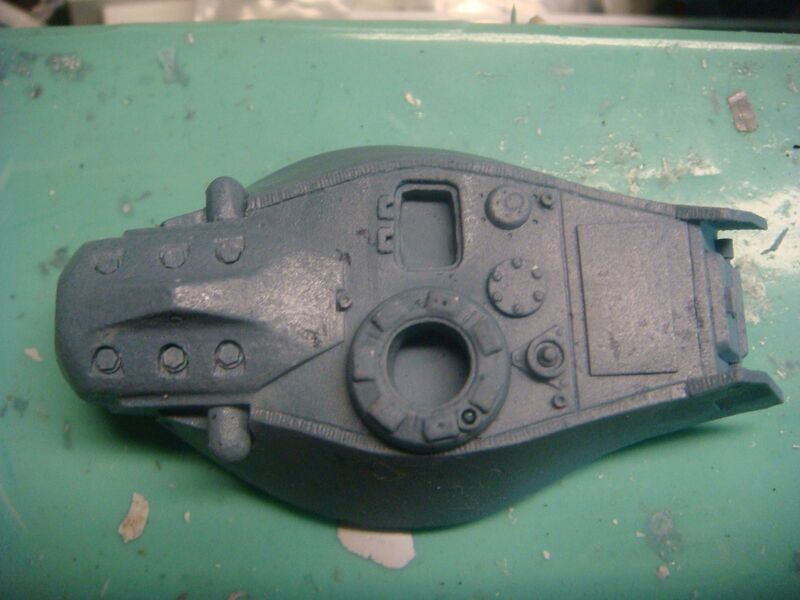 so I molded it and cast it in resin to be used throughout the final building of the model. 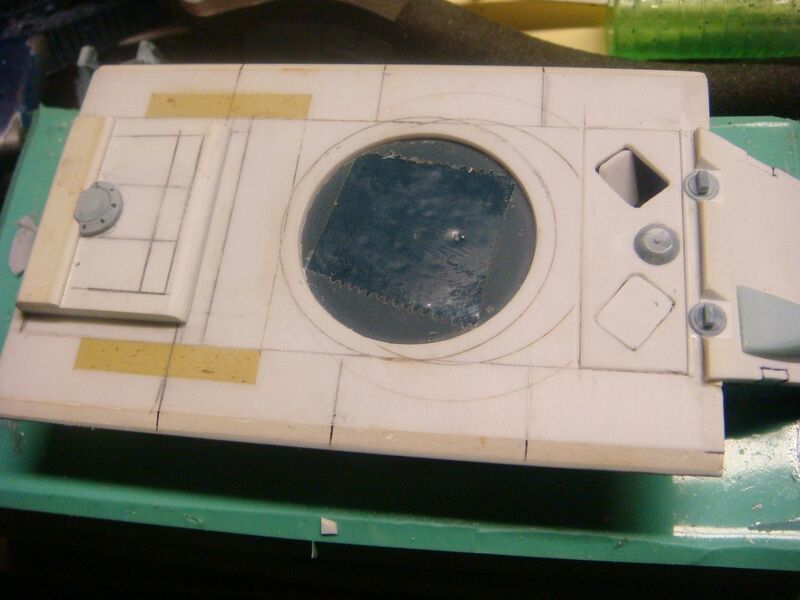 I think I am finally getting back into the swing of things. 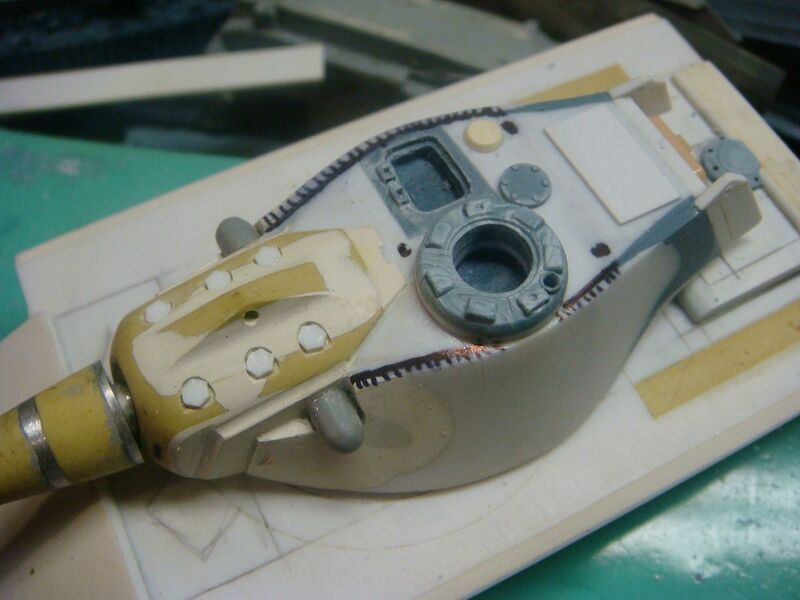 As per your other scratch builds very well done! 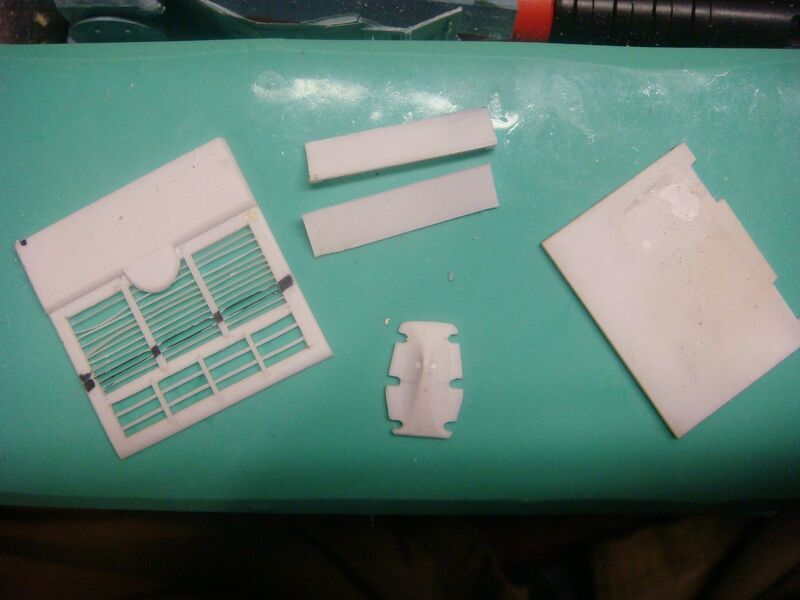 this is the "first pull" from the new mold. 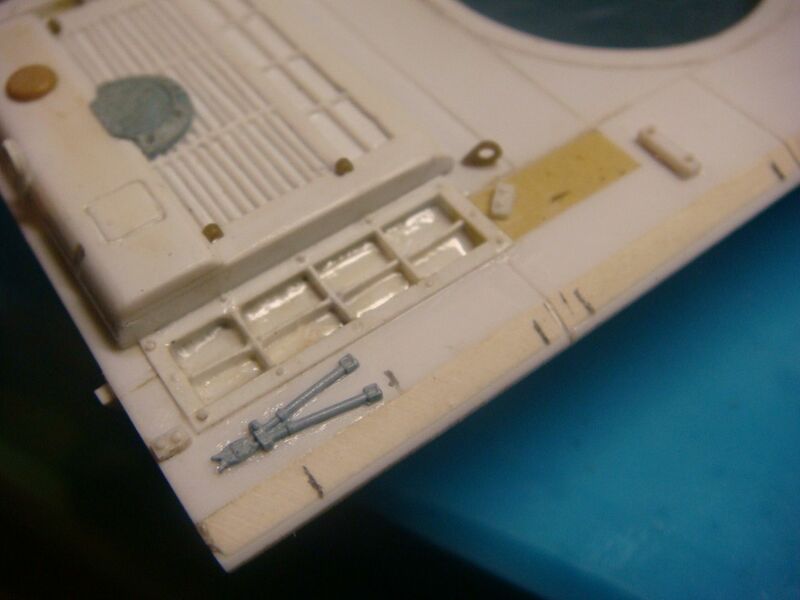 anyway I have taken the parts I have and test fitted them onto the hull. 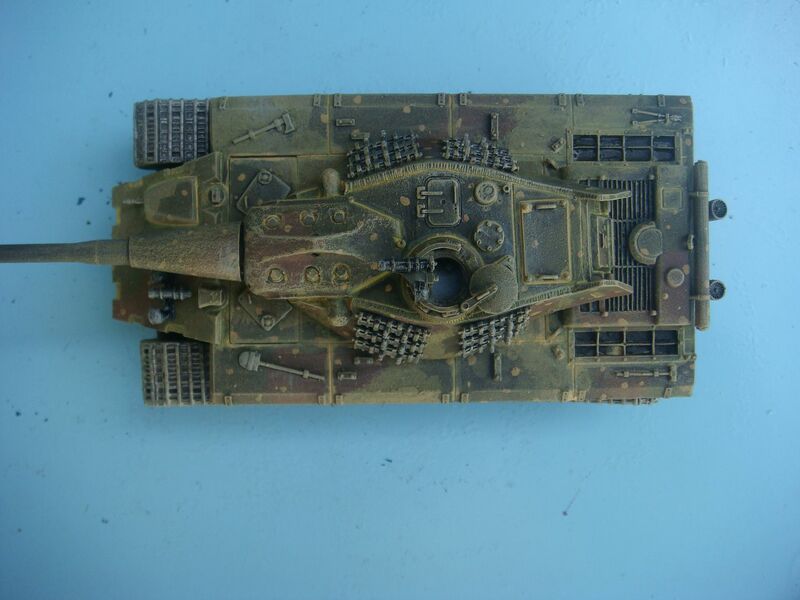 I will put it on ebay either later today, or tomorrow. 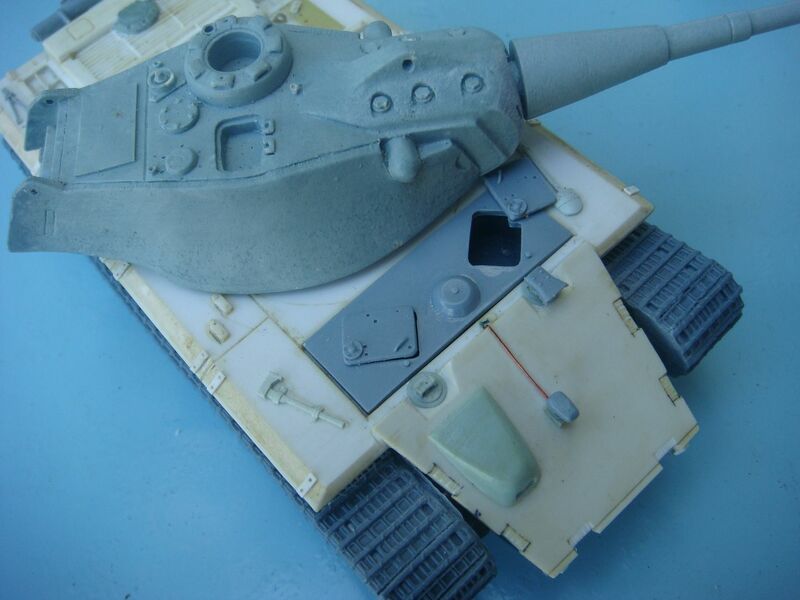 and can be built with either an MG34 or IR system.